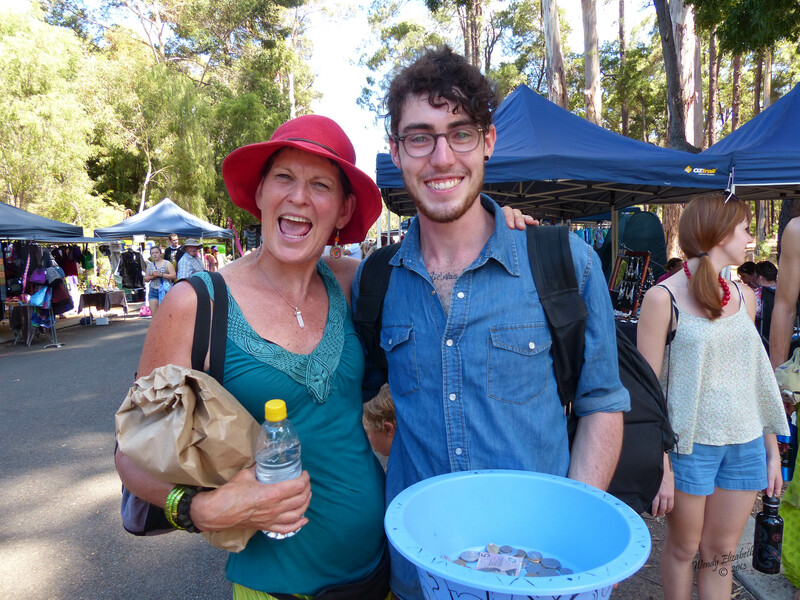 Community of Music and Festivals – Nannup I applaud you! 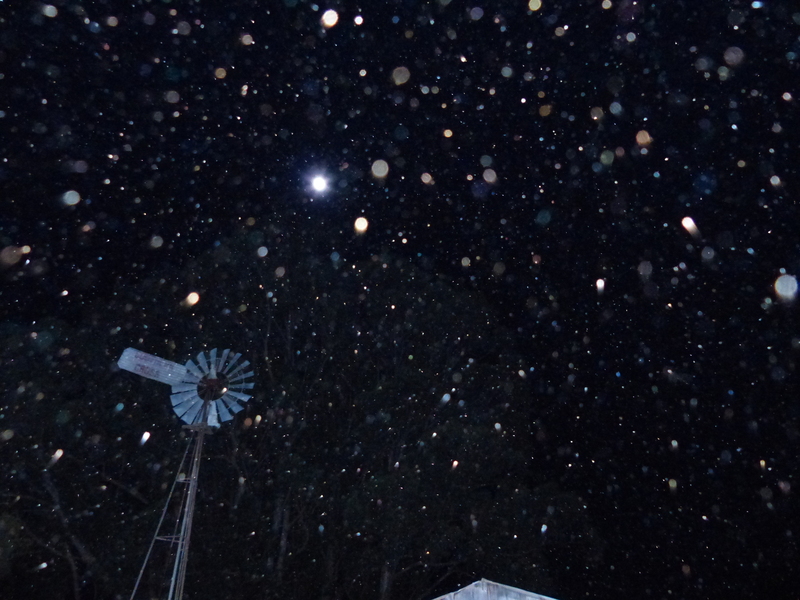 I came home from the Music Festival with all the colour, sound and activity swirling inside my head, that I had witnessed in Nannup over the weekend… Perhaps even more … as I tried to hold onto the memory and meaning of so many magical moments and process my own viewing of them, it was like a sensory kaleidoscope. Attempting to unjumble the patchwork of interwoven, eclectic experiences was almost impossible but the easiest way is the same in thought as in reality – to step away from the main stage areas, which pulled crowds and dominated the airwaves, and focus in on the periphery of the festival, the multitude of smaller sights and sounds and yes, the very humanity that makes this long weekend such an incredibly memorable place to be. 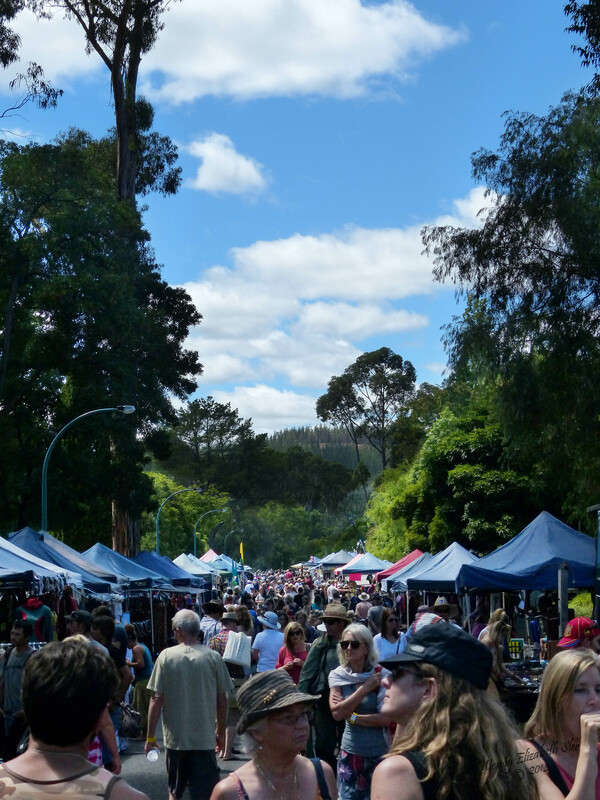 Down the road between the main part of town and the riverside park and amphitheatre, crowds of people wander between the mix of markets and information stalls. Colourful marquees full of bright clothing and handmade jewellery, nature based attire and innovative creations rub shoulders with tents offering healing, musical instruments (I saw a man selling hand carved lyres and offering workshops to carve your own and learn to play – oh how tempting that felt to me), drumming workshops, and political parties! 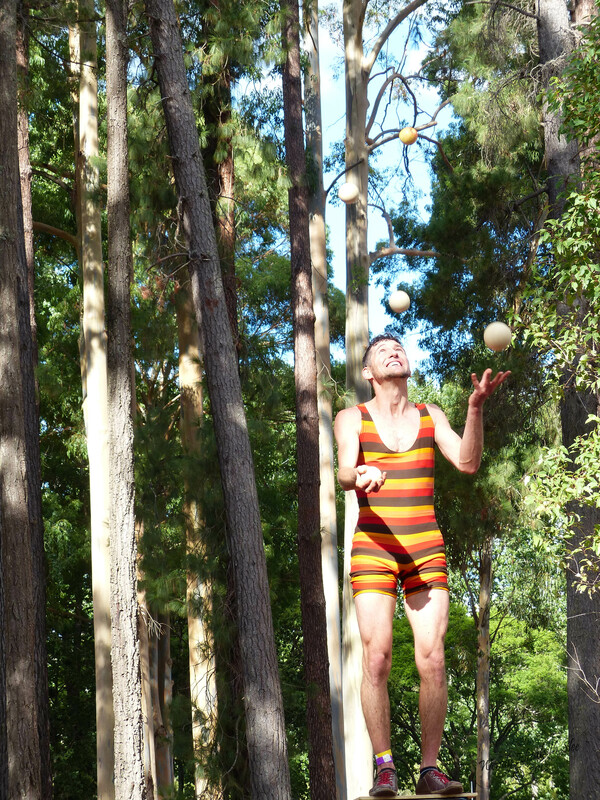 A man rolled an orb ball around with barely a touch of his hands, as if it was suspended in mid air, while the children and parents gathered to watch and hands twitched with the desire to try it. On roadsides, children were busking, with their hats or guitar cases on the ground before them, catching spare change from appreciative passers-by. 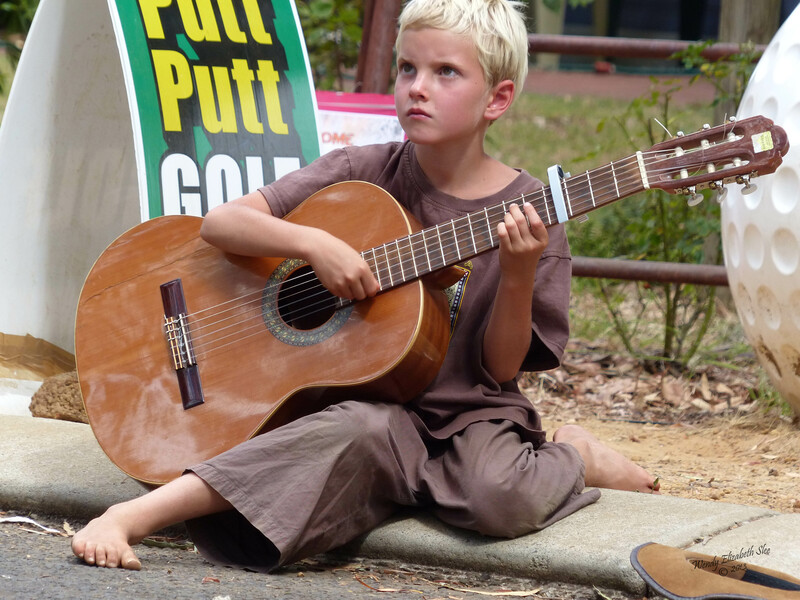 A young girl played violin, across the road, a small boy played guitar…. On the street corner, three friends sang together, having fun as much as harmony. 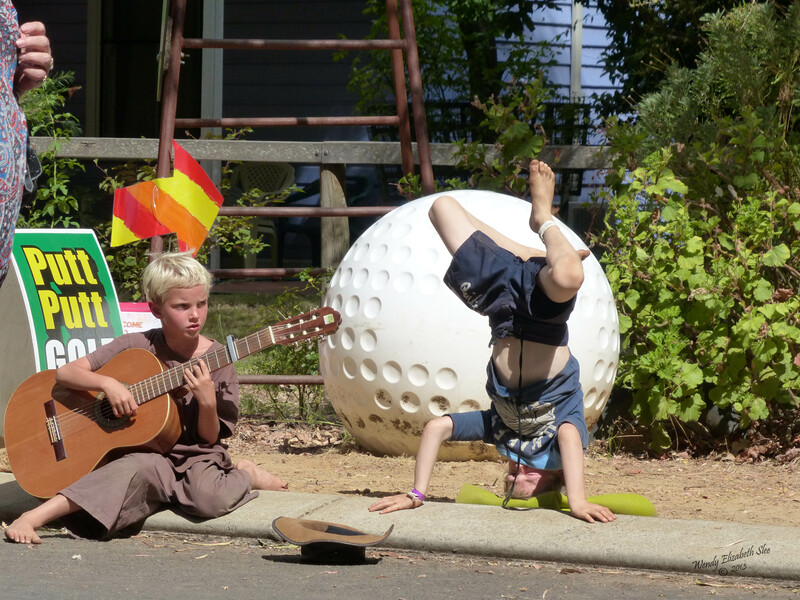 Further up the road, two boys busked, one playing a guitar, the other standing on his head (with a cushion) waving his legs in time to the music. It was all happening. 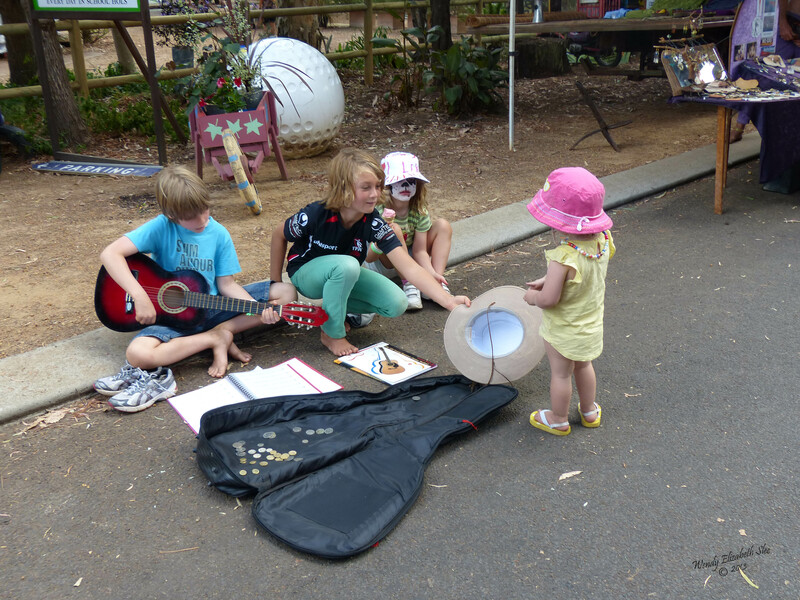 And it was heartwarming to see the children expressing themselves musically in such a friendly, receptive place where the crowds were so laid back, at ease and friendly. I stood back and quietly witnessed the various children busking, feeling such emotion at their courage and talents, and the simple joy of seeing children allowed to participate in the spirit of the musical event, without fear of judgment or insecurity. Nobody was rushing, people moved leisurely, and all had smiles on their faces and a relaxed softening of shoulders. The weekday stresses, the normal day to day troubles were all left behind to attend this event. That was really obvious! 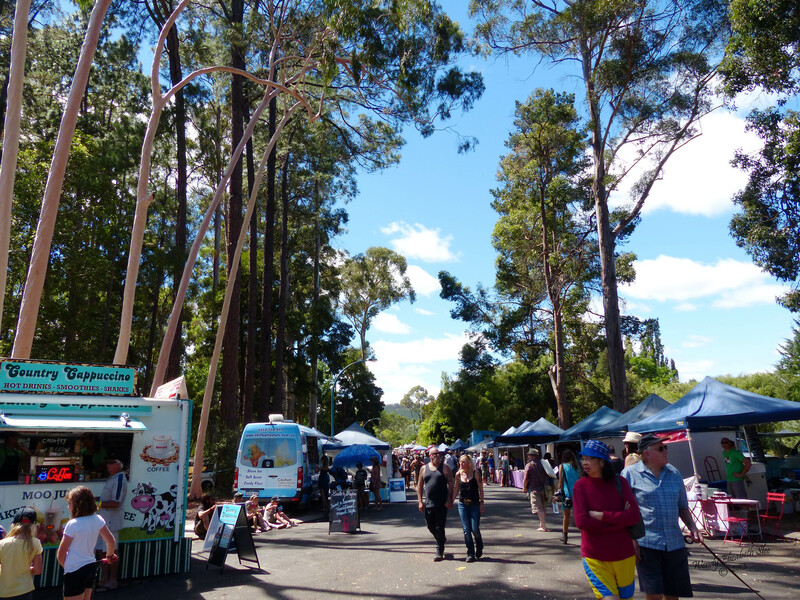 Everywhere the tents, campervans and trailers were parked haphazardly, squashed in beneath the tall trees, and the visitors were soaking up the energy of the town and the music. Nobody seemed angry or stressed. Everyone was accepted and accepting. Everyone belonged. 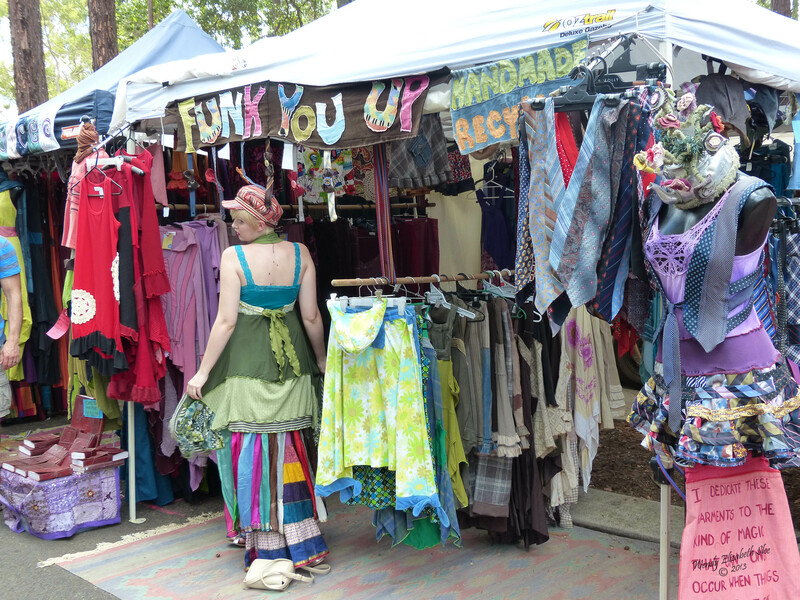 It felt like one big community of those who loved music, creativity and nature. 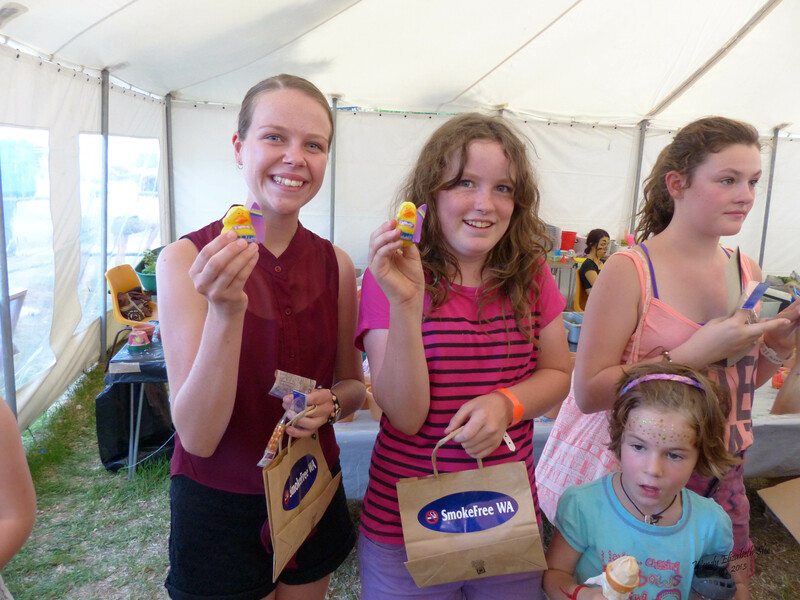 The food and drink vans were in constant demand and it was great to see so many of them with natural or organic offerings, or homemade food, though the slushy and fairy floss vans were doing a roaring trade with the kids! What can I say? 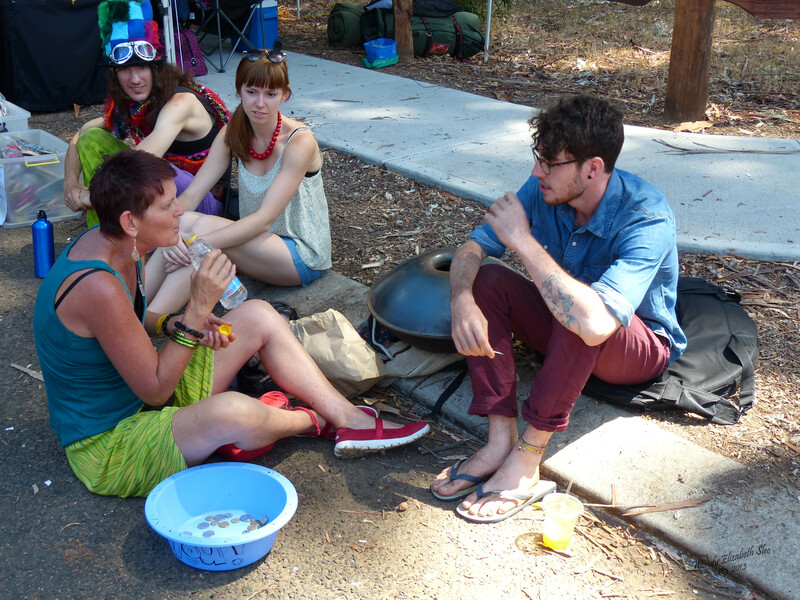 The energy was so calm and peaceful and all about people coming together to celebrate music in the beautiful hills and forests of Nannup. I was very aware of the community feel to this festival, and the strength of those who had worked tirelessly behind the scenes to organize and pull it together. 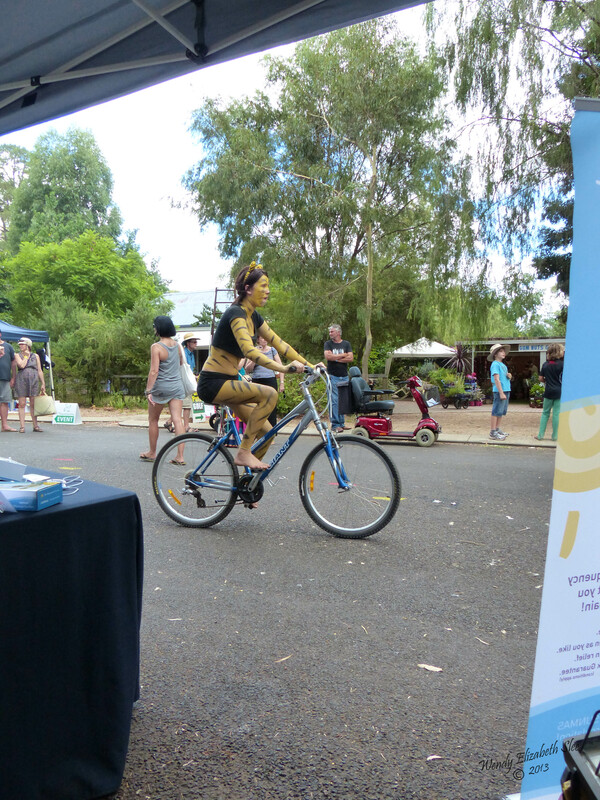 To emphasize the fact, Phaedra rode past on her pushbike and stopped to check on someone – perspiring in the scorching sun, running between stalls and stages, performers and participants, messages, instructions, assistance, ensuring everything was running smoothly – she symbolized the team of hardworking community members who were out there in all corners of the festival- some in the public eye, but even more behind the scenes, creating a successful experience for others to enjoy. As I walked up the street, I watched a young man playing the hang, his fingers racing across the steel surface evoking the most uplifting, soulful but energetic melody. It was mesmerizing. If you have never seen or heard this instrument being played, you should check it out. 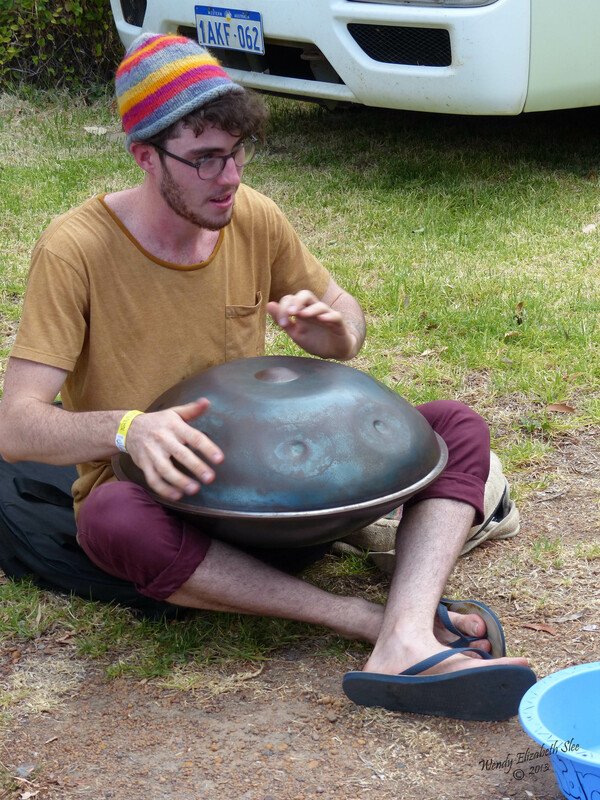 Although I was familiar with the music of Samjjana, and Maia’s soulfelt playing of the hang, (it is an instrument I absolutely love,) I had not seen the hang played in the manner of this young man, Sam. I stayed, captivated, until he packed up ready to move on. But then a woman approached him and asked if she could sing with him. It was a bold request, considering the nature of his form of music. I waited to see what would happen. He got out the hang and she sat cross legged in front of him on the road, and opened her mouth and poured out her soul. I was not sure what to expect, so it came as a shock. Her voice was so pure and filled with passion, it came straight from the heart, and mingled with the beautiful notes of the hang as if their sounds were two long lost friends reunited across time. With her eyes closed, her hands moved as if drawing on some invisible ancient language. There were no words, just a pure language channeled from somewhere far beyond down into this tree lined street full of festival goers. I flicked on my video camera and stood still, stunned at the meeting of these two channels of beautiful energy….. this young man Sam calling forth the melody of the universe with his fingers dancing lightly across the surface of the hang, and this woman Deborah delivering the purest song of spirit, right from her heart. My eyes stung with tears that overflowed from my own heart’s response. 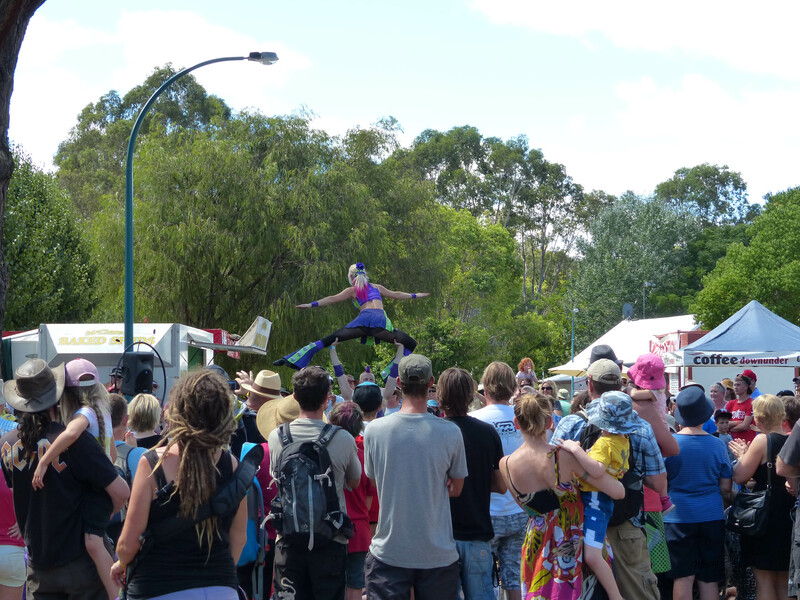 The crowd gathered and stood in awe as this amazing spectacle unfolded, there on the humble streets of Nannup. As the music ended, people stood in silence, aware that they had just witnessed something quite magical – experienced an amazing gift. I felt the tears and recognized them in other eyes around me. It was difficult to describe but I knew something had flooded through me while in the presence of that music…. As I glanced around me at those who had gathered, I could see I was not the only one feeling this way. Then there were smiles all around. Debra informed us that she was a healer, that she used song as a method for channeling healing in its purest form. She told us what I realized already – that everyone present had just received a gift of healing. And although Sam may not have realized it at the time, his own unique offering of music was a healing gift too, and together these two strangers had met and manifested the most amazing power that was shared with strangers and carried away out into the world, ripples that I knew would last forever. I watched them talk and hoped that somehow they would find a way to perform or record music together as the world could certainly use more of what they had to offer. Miss M was with me at this point and feeling very tired and unwell, with a sore throat, blocked nose and a sleepless night hanging over her, as well as the nerves of her impending performance in the children’s talent quest. 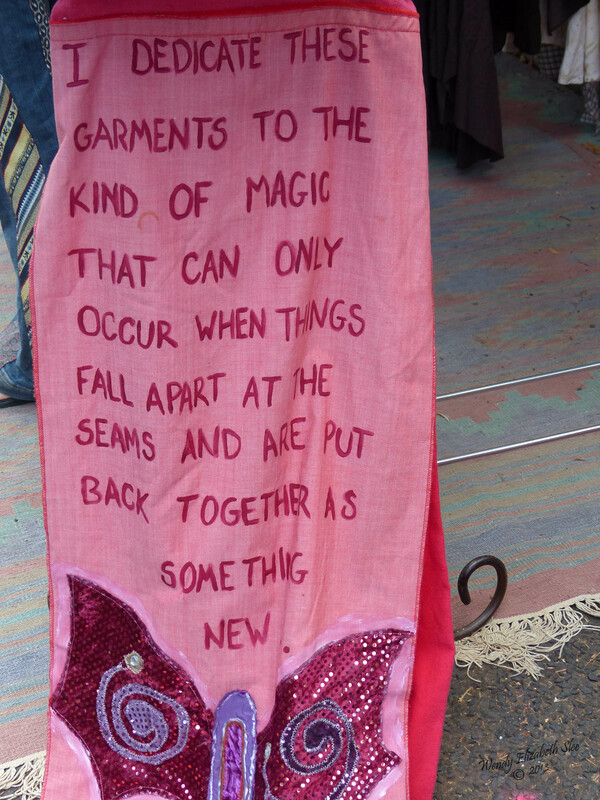 I mentioned this to Debra who offered to do a healing on her right there and then. And so it was, this stranger put her hands on my daughter’s throat and sang a healing song. It seemed very natural to me, though Missy M was shooting me some killer looks as if to say “get me out of here”. I could tell she was a little embarrassed but to be honest, I don’t think anyone even noticed this small ceremony happening on the footpath behind the crowds. After that it was time for an icecream and Miss M seemed lighter than ever with the energy she had received. So did I, for that music had become a part of me. 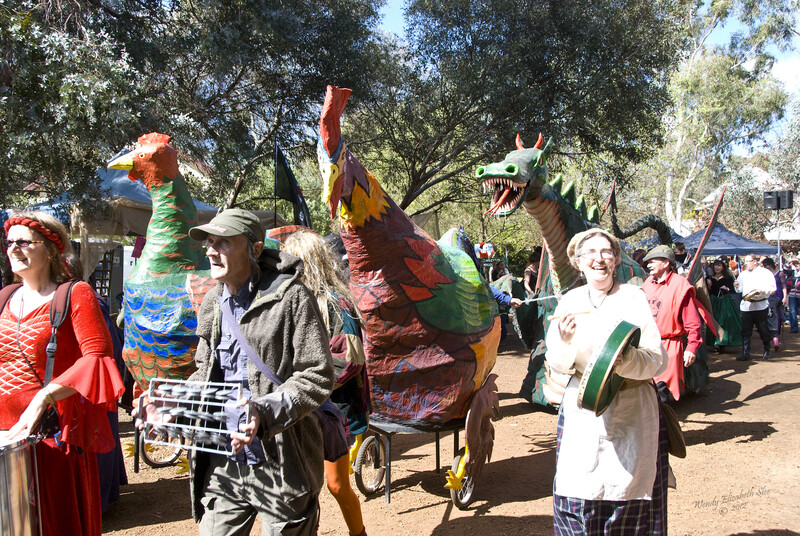 Down by the river, beneath the amphitheatre and the main crowds, an amazing event was unfolding on Saturday. As the beautiful melodies of a female vocalist drifted up the river valley, the Friends of the Blackwood erected a large marquee with displays about the river ecology, and the beauty and fragility of the natural environment and waterways of the region, together with added information about the Helms Forest issue, the Black Cockatoos, and the need to stop logging old growth forests. 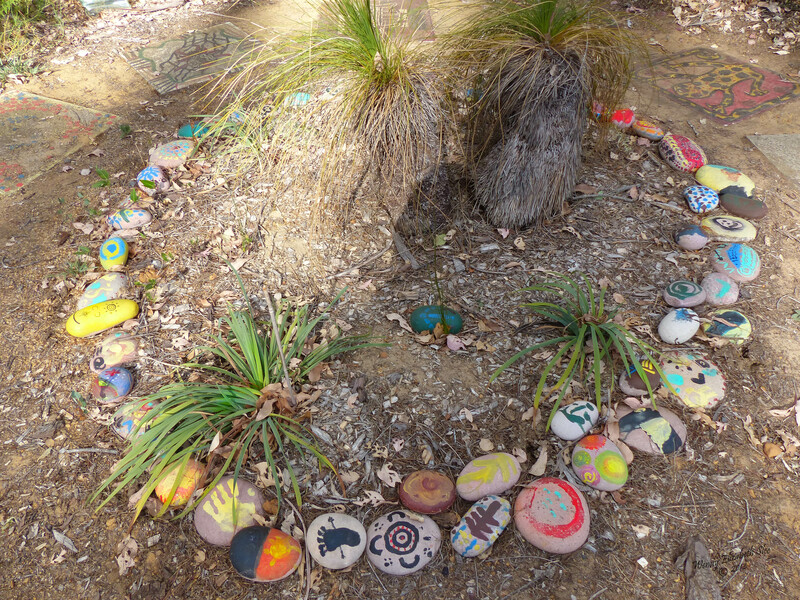 But the most powerful part of this display was the genuine sharing of the local Wardandi people, who spent Saturday creating a sand mandala to portray their stories and culture with iconic symbols in coloured ochres. This would be the corroboree ground for the night’s final dance. 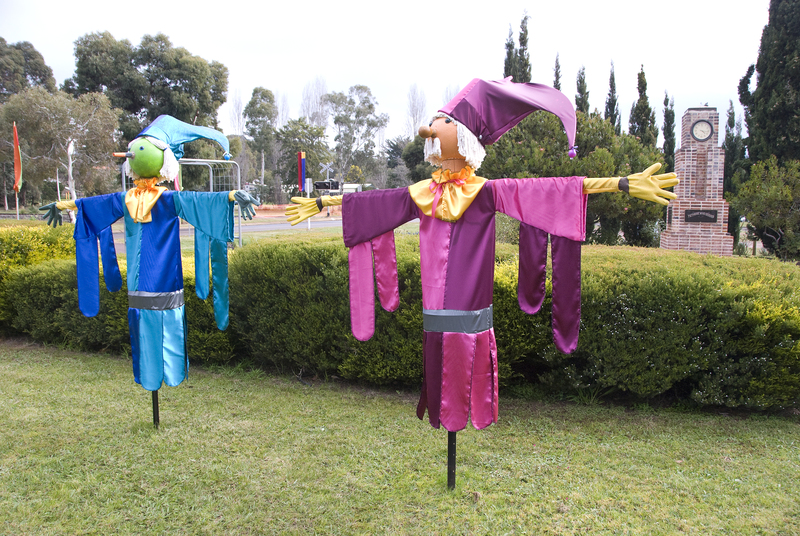 The Cultural display was dedicated to the matriarchal Grandmother Vilma Webb who had passed away a week before. 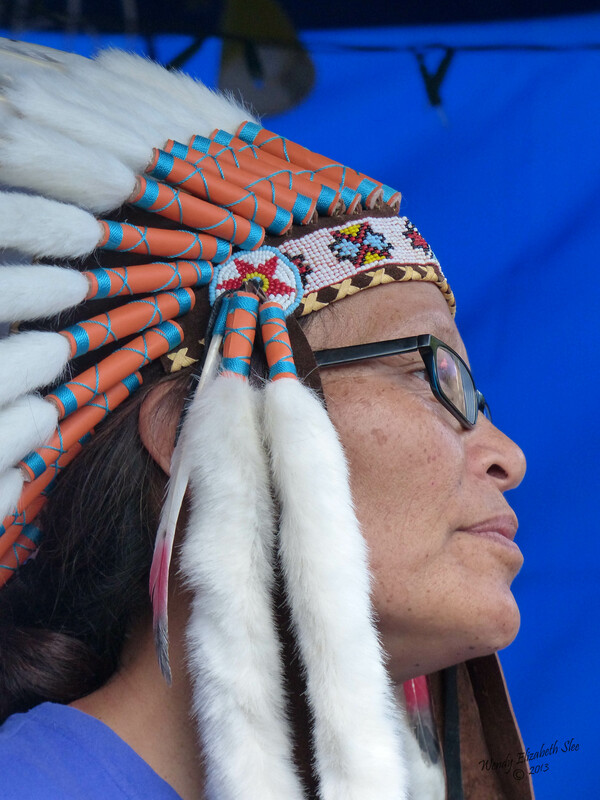 Within the display tent, was a memorial table with images and stories commemorating this much loved lady whose family were this weekend mourning her loss, yet celebrating the culture and the love of family and land, that she had upheld and instilled in each of them. The magnificent sand mandala featured iconography from Burial Stones (Teaching Stones) to highlight the story of life and transition to the Spirit World. 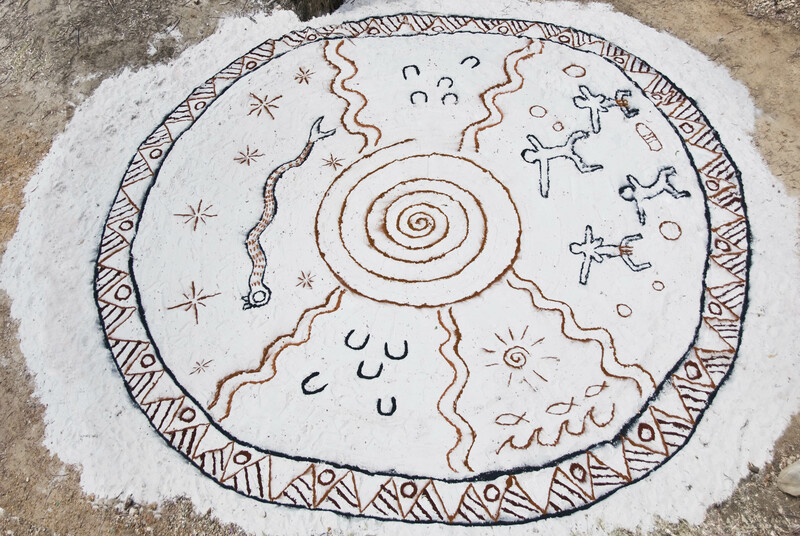 In the sand figures were depicted pointing the way between one world and the other, with the rainbow serpent weaving through the wind and the stars, and over the ocean, for whom the Wardandi people are named. 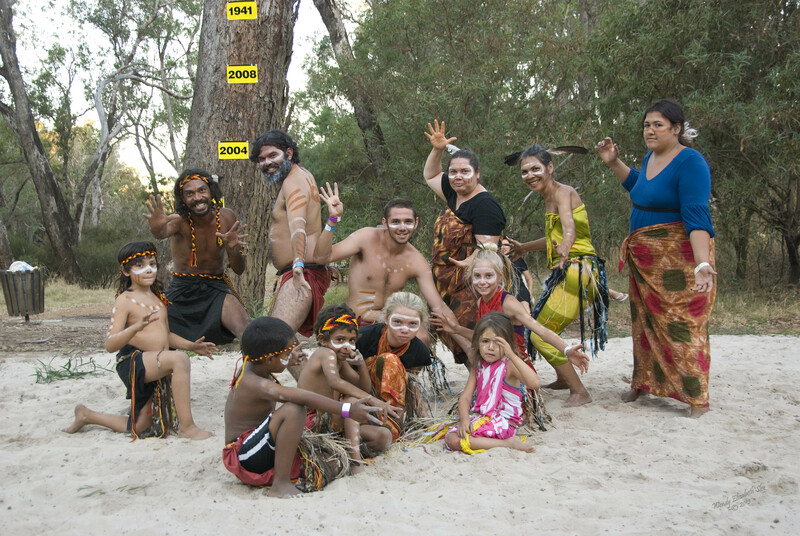 At midday Saturday, the Nyungar men and women performed a small dance ceremony on a secondary mandala, to the sound of Josh (Koomal) on the didgeridoo and drums. Josh played both instruments so perfectly all the while holding his small son on his lap. 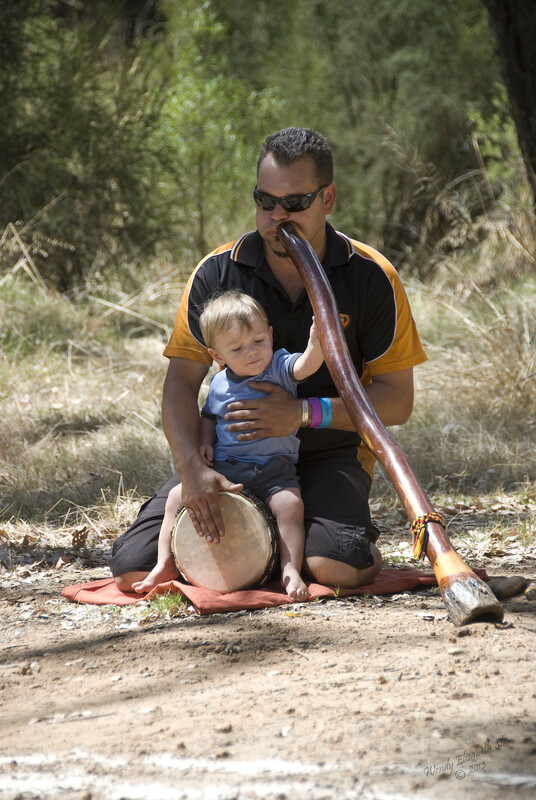 As Father and son bonded within the music, a small hand reached up to hold the didgeridoo his Father was playing. 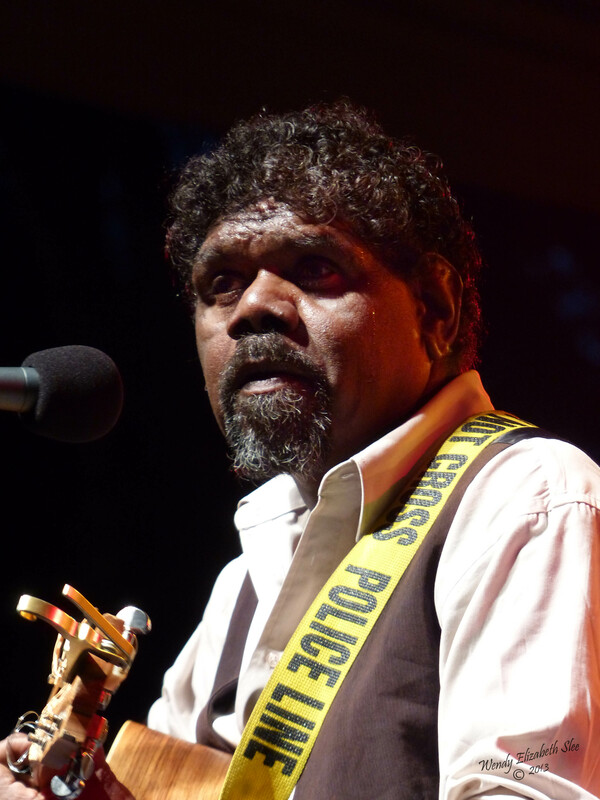 The powerful pulse of the didgeridoo did not miss a beat. As the day wore on, the heat and humidity was pretty overpowering, so everyone headed for shade and water bottles and desperately sought out any hint of a breeze. Luckily the Blackwood channeled some breeze down the valley which was a certain relief. 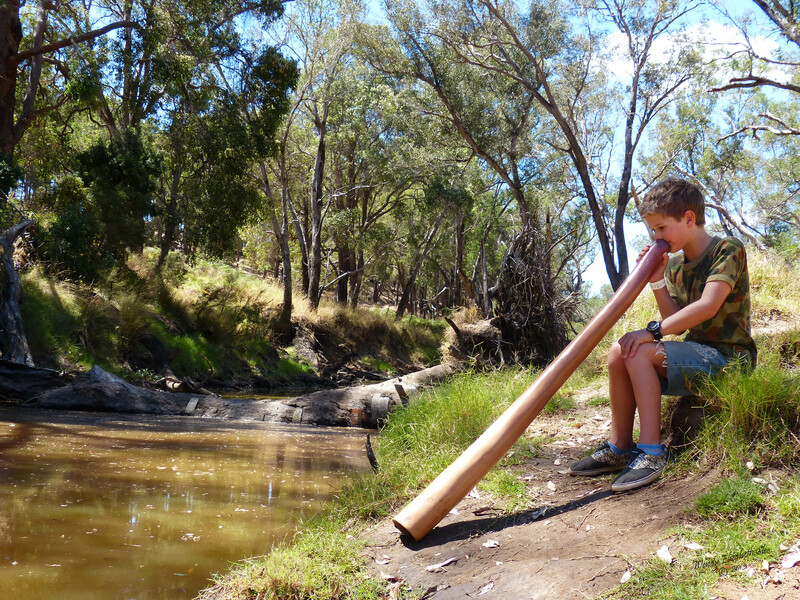 A nine year old boy shyly approached the members of the Wardandi people with his father, and showed his own didgeridoo that he had been given and learned to play in the Kimberleys. 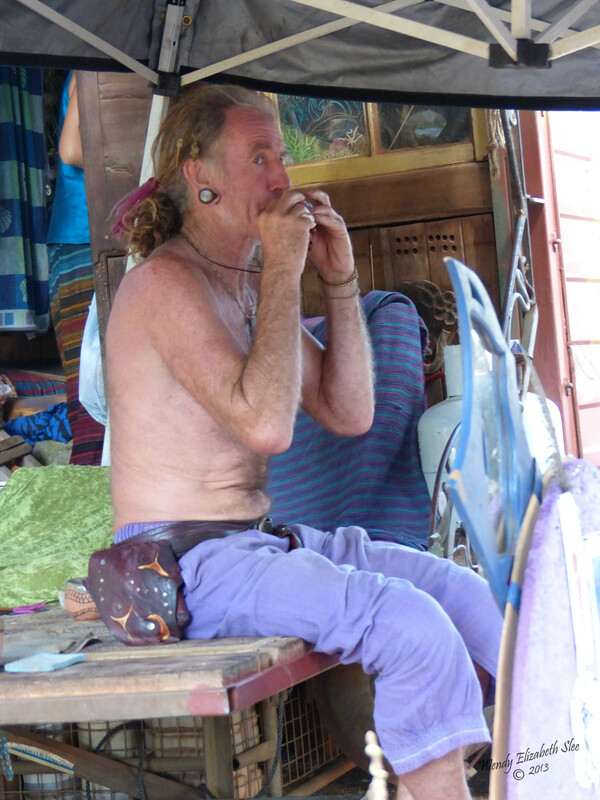 At their invitation, he played it and blew every one away with his mastery of the circular breathing and tonal ranges of this fascinating instrument. 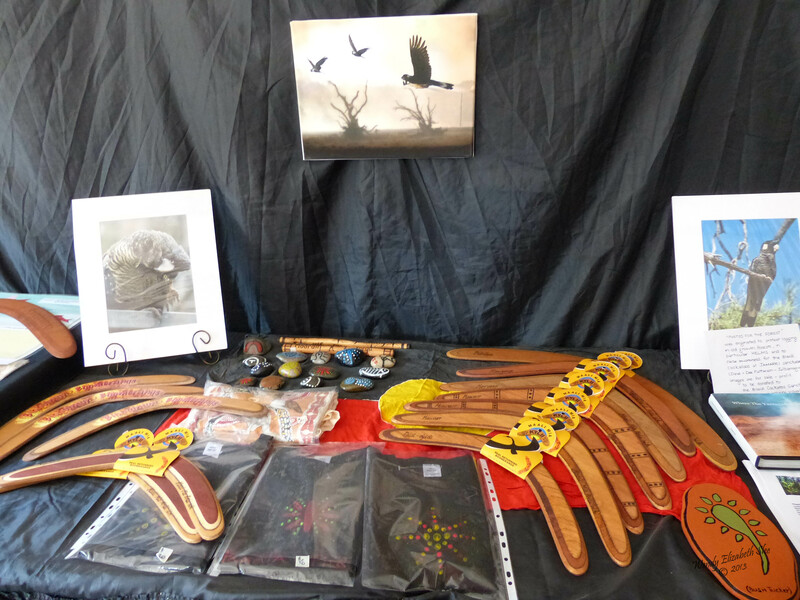 He was gifted a traditional tool from the display to honour his visit and sharing. 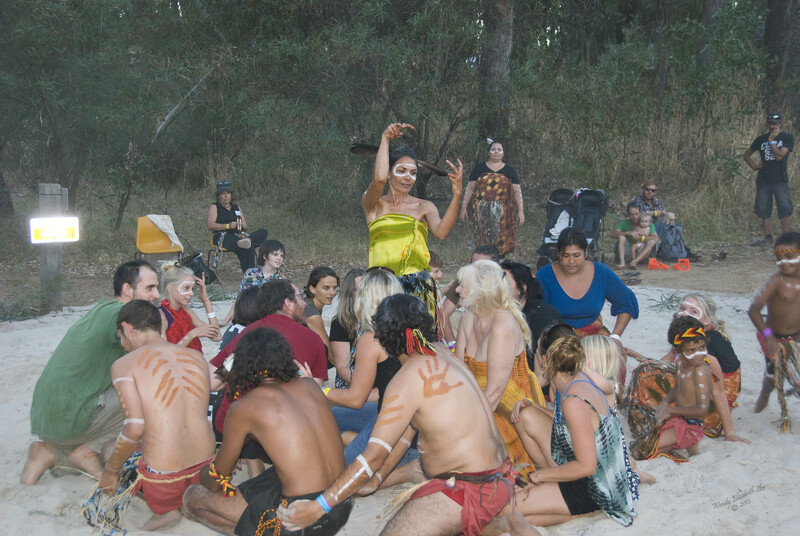 Saturday evening was the grand Corroboree on the mandala. Excitement seemed to grow as children painted one another in preparation for the event. In the shade, a small girl painted stripes of white and tan ochre on her cousin’s legs, the brush poised delicately in her little hands, a smile of accomplishment on her face at the completion of each section. 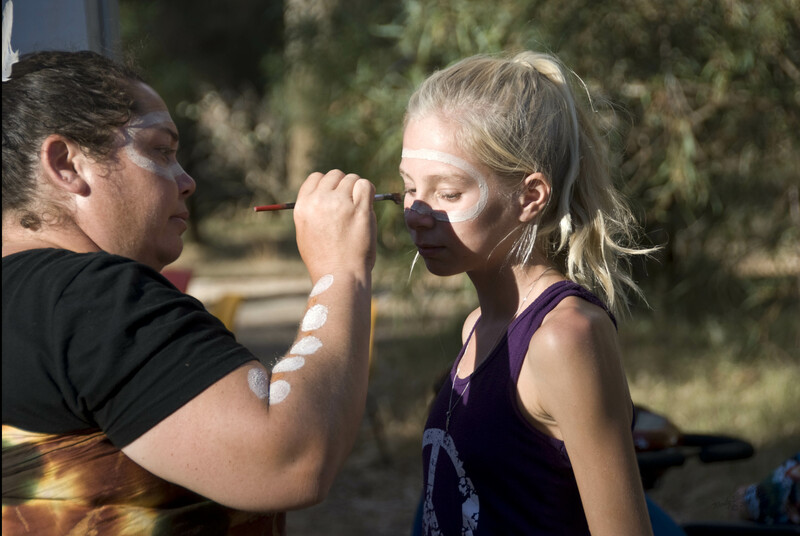 Adults adorned the young ones with traditional headgear, dress and feathers, and painted small faces, before painting each other. 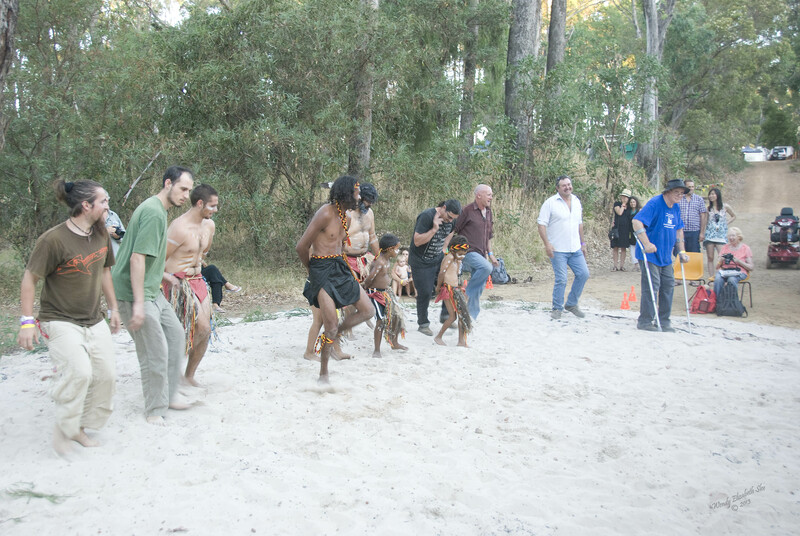 The preparations were a glimpse into another world, one that has endured since long before European settlement. Small boys chased one another around the tent, laughing, teasing and playing, their excitement at being in traditional attire and paint, a beautiful sight to see, though perhaps not for the parents who were trying to keep them under some form of control before the ceremony! 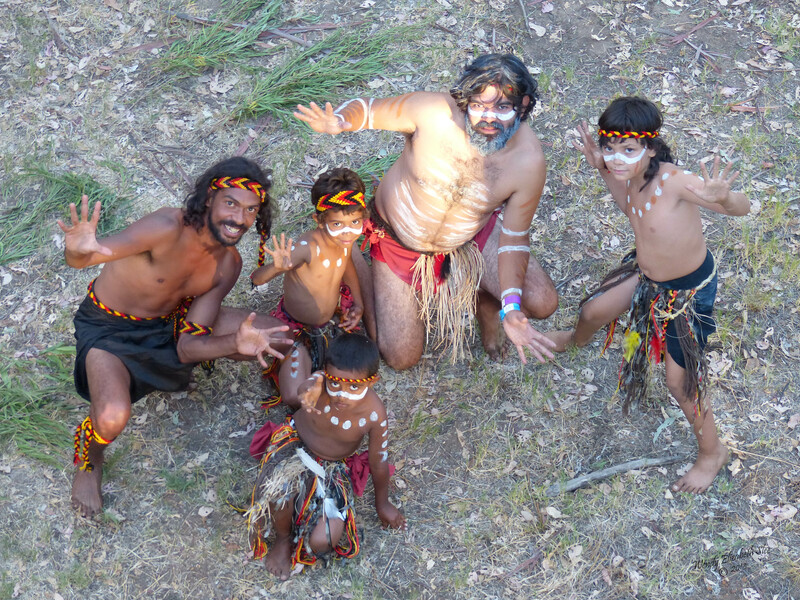 As the sound of the didgeridoo and drums rose above the river valley, people came down from the festival grounds above, and gathered to watch the ceremony. 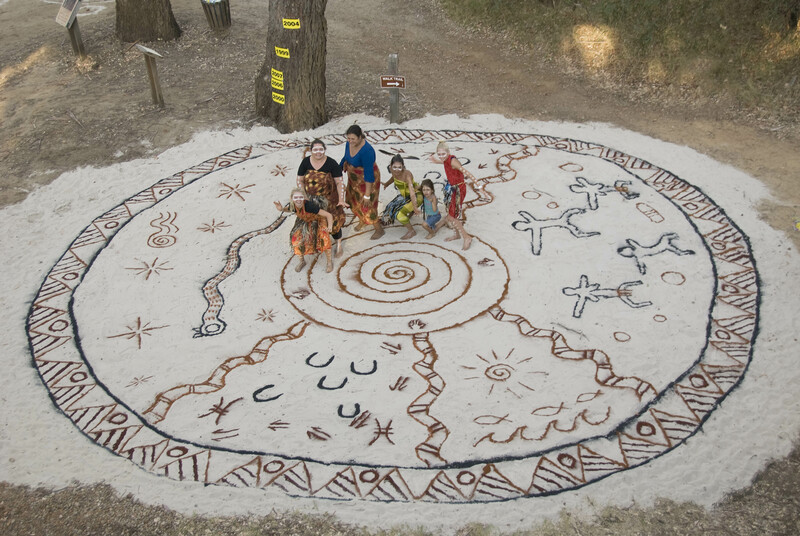 The Nyungar women circled the mandala first, sweeping the earth with peppi fronds, cleansing the area ready for the dance. 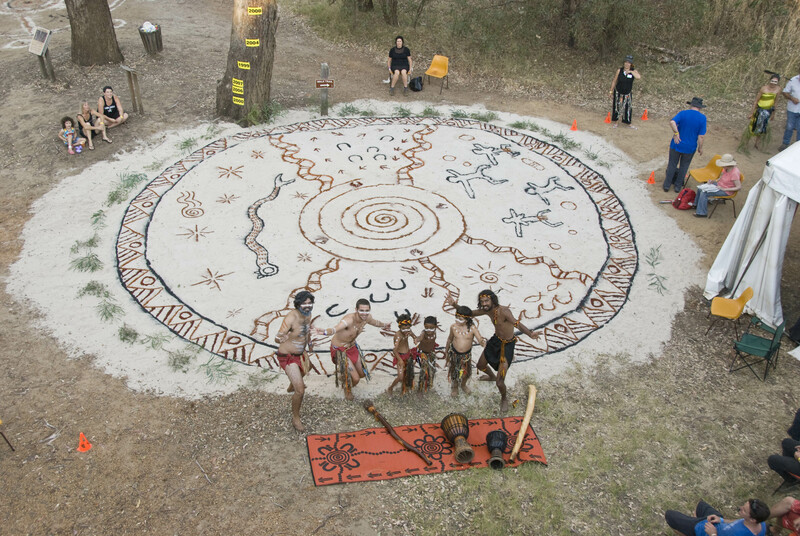 Then they began sweeping the whole mandala area, spreading the coloured ochres into the sand and initiating the closing down of the powerful energy portal generated by the circular design. 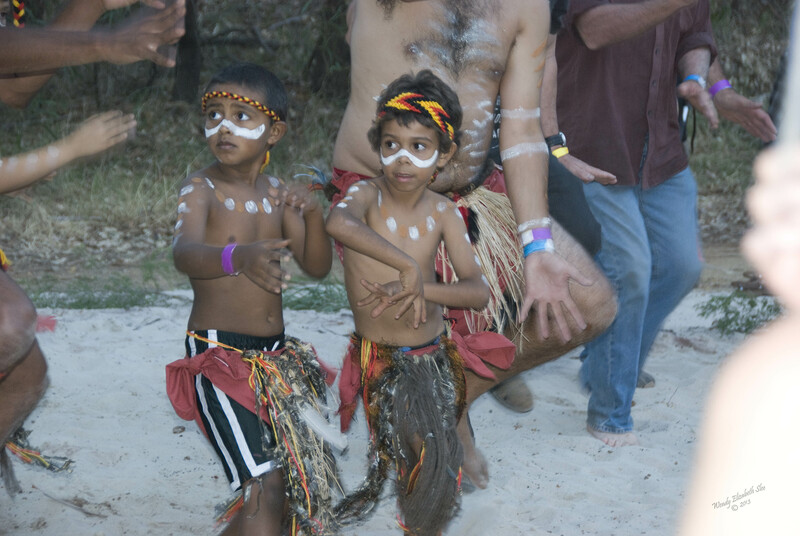 Their dance was vibrant and symbolic, and flowed on with the dance of the men and the boys, their movements telling stories, acting out elements of their traditional way of life, the hunt, the celebration, their spirituality, their lives. 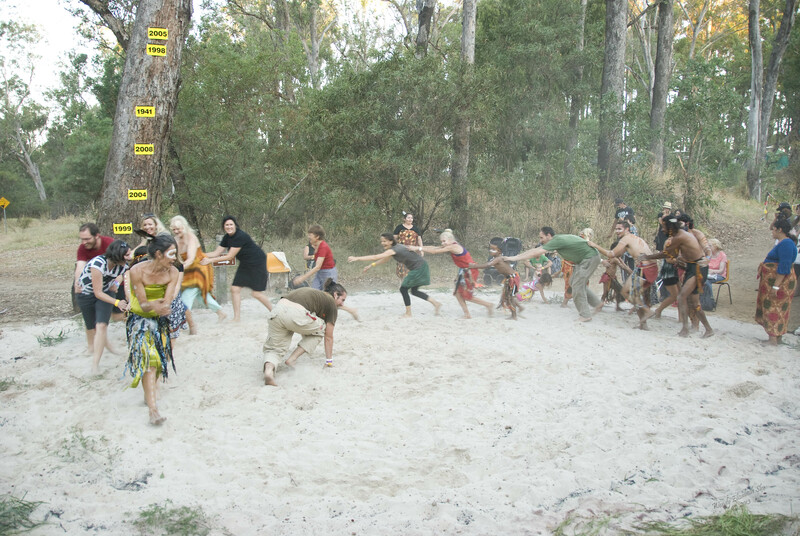 The crowd joined in for a final dance – from little things, big things grow – and as the dust rose, the bare feet stamped away last traces of the mandala, arms waves expressively, and smiles stretched across faces and laughter could be heard. One man got up with his crutches and danced. A woman with a tiny baby danced and celebrated the life sung in by the river. The energy rose up higher than the dust and the feelings of joyful celebration settled over the riverbanks and all who were there. Meanwhile, the music continued into the warm Autumn night on Saturday, and the crowds relaxed and soaked up the peaceful energy of artists sharing. The same continued on Sunday, with more song, more dance, more displays. More fascinating and amazing sights! 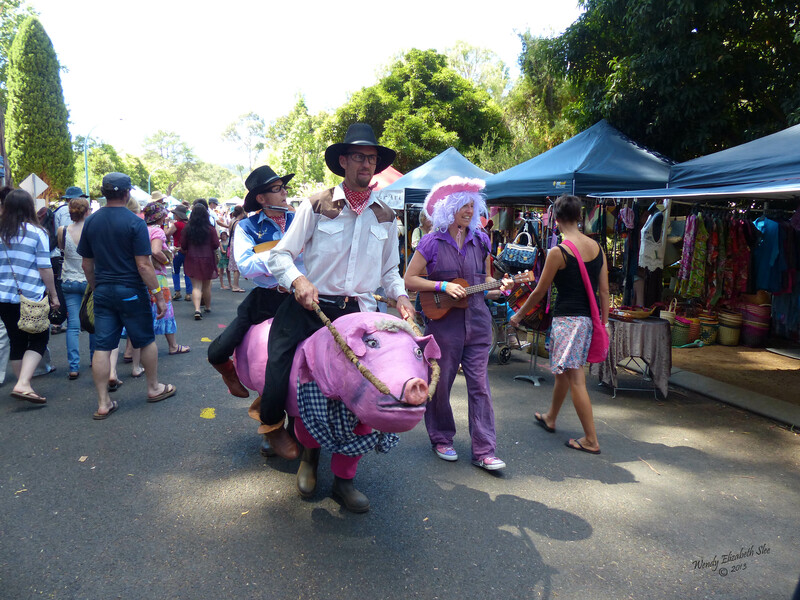 Down the street a man riding a large pink pig wandered, paying his guitar and singing. 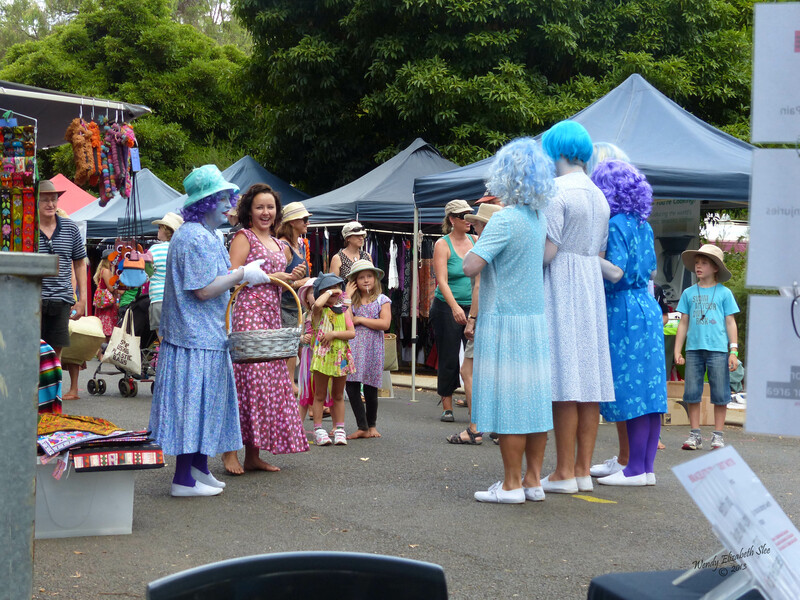 A group of very tall “blue ladies” sashayed through the crowd with their purple rinses, plum in mouth accents and baskets of silver teaspoons, performing, as one described to me, “teaspoon readings” to heal the world and resolve the problems of those in it. I couldn’t help but grin at them, as they mingled and delighted the crowds, and asked about them. They were a group from the Hairball Theatre company in Denmark, there to raise awareness for their group. 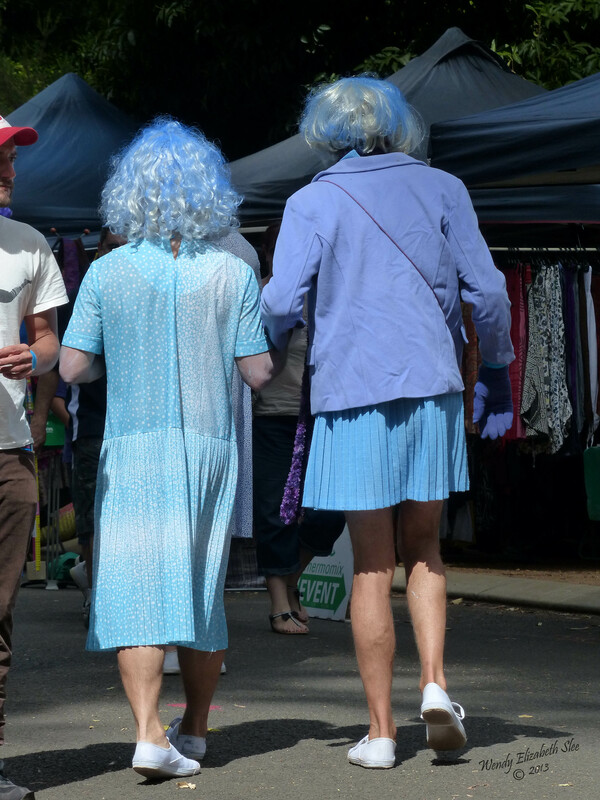 They, hairy legs and blue powdered noses, certainly got my attention! Acrobats performed, a juggler entertained the crowd with his skills, a beautiful bellydancer shared her sensual movements with a gathering circle of onlookers, especially the men! 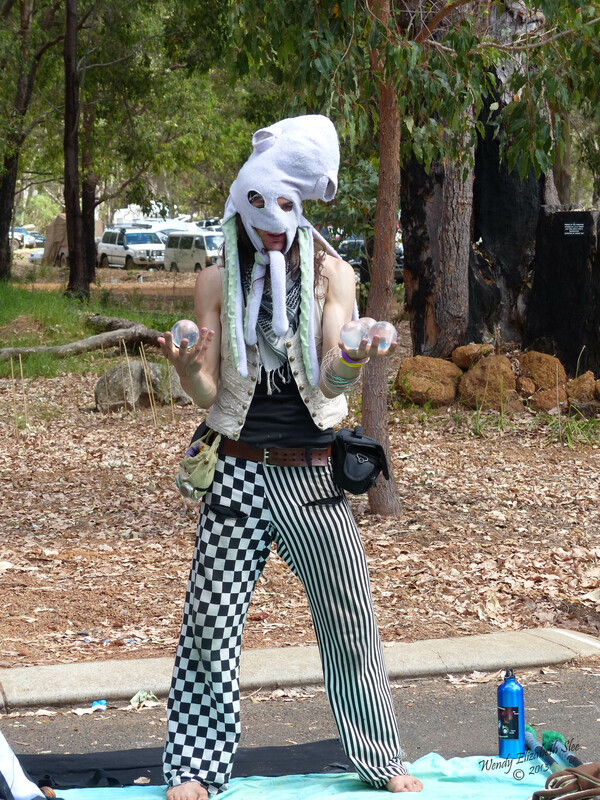 In the childrens area, painted Nannup Tigers mingled and entertained and tireless workers kept the younger people busy and happy. A fairy told stories and had the children dancing. A large purple dragon boldly wandered in to delight the kids some more. 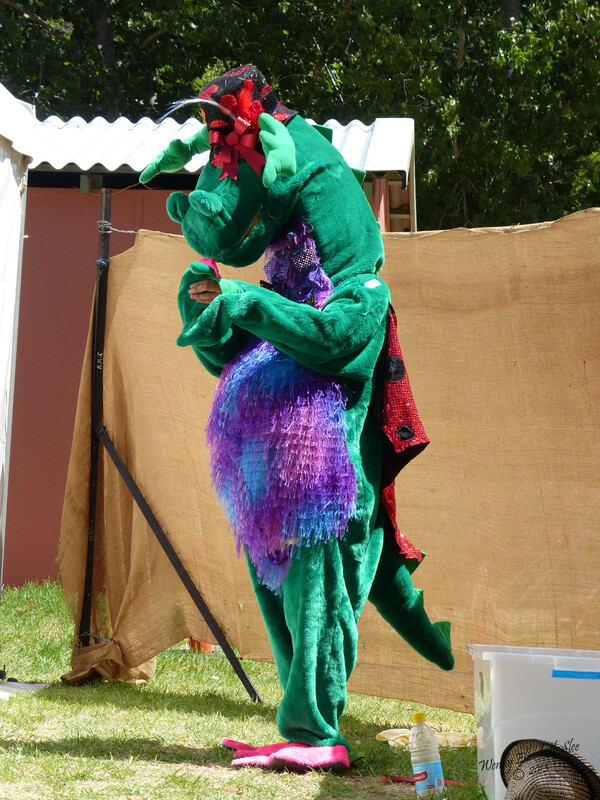 That dragon had my sympathy – not only having to wait around in the intense heat of the sun in that heavy costume, but to have to walk through the crowds with limited vision and then dance for them! Another hero in my eyes! In the “Playground” the children gathered for their talent quest, with entrants ranging from small girls who came boldly on stage to do the splits to a drum roll and then walk off, young teens who danced, leaped and lip synced their way through favourite pop songs (one could only imagine the ongoing mischief at home with the music cranked up, or the state of their bedrooms! ), earnest boys with their bands, and then, the highlight of the day – one young girl who had the crowd in stunned awe as she delivered the most haunting and breathtaking rendition of “Hallelujah”. (Thank you Emily Lambert!) 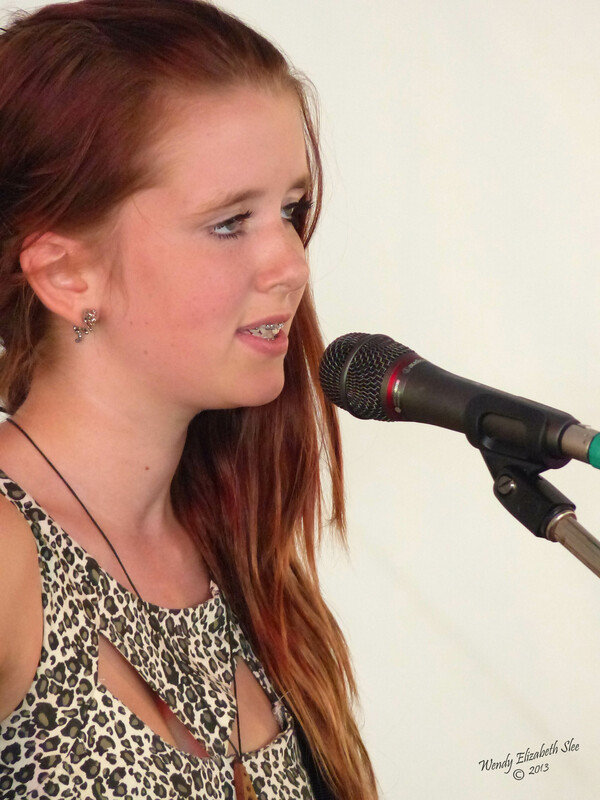 The crowd stood or sat mesmerized, mouths slightly open, and I heard more than one person comment “What is she doing singing at Nannup, she should be on X Factor! “ It was a goosebumps moment for sure. I could only shake my head in amazement at such a strong and beautiful voice and her delivery of this powerful song. I felt I had just witnessed the early rise of an incredible star. Miss M, standing beside me whispered totally alarmed, “I hope I don’t have to get up and sing next after her! !” I felt the same, as this girl’s talent shone so bright it would have paled everyone else into insignificance. As luck would have it however, Miss M WAS called upon next to sing, but her style and song was totally different, and although she was tired and unwell, she got up and sang her Taylor Swift song “Red” admirably. And was rewarded with a prize for it along with the other talented young people who were all winners because they got up and had a go! The highlight of her day was spending some time chatting with the talented Emily, and realizing she was just a quiet, unassuming girl who loved to sing as much as Miss M did and was someone my daughter really wanted to be friends with. Not to mention, be inspired by! Later in the afternoon, the emerging talent awards were held, and it was one sensational and gifted performer after another. I wish I could have been in several places at once, because I did not wish to miss a thing. It was exciting to see so much talent. 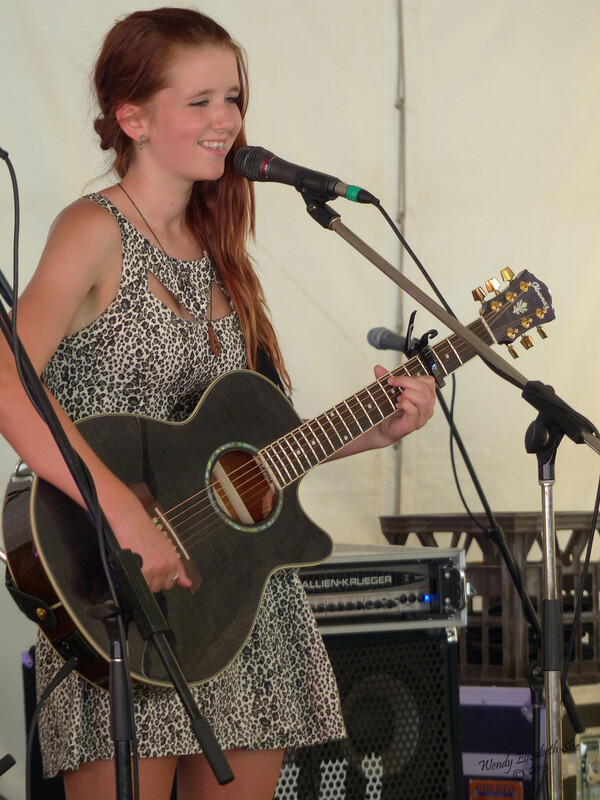 My friend’s daughter Iona Jane, a self taught musician and singer, waited nervously in the shade for her act, surrounded by family and friends to support her. To cheers from the audience, she sang a song she wrote herself, and all I could think of was “where are the talent scouts! She should be recording!” More amazing talent!! I did not get to see the band that won this competition but all I can say is they must have been outstanding! Again, into the evening, the sounds of cheers and applause from crowds, the music rising through the trees and touching the night sky, and the relief of a cool breeze sighing in after a hot day, seemed to be the enduring mark of the festival, a lasting memory that filled the senses and restored equilibrium and peace of mind. And left me with no doubt in my mind, that next year I would be back for more. So as I drove home on the Sunday evening, after a second full day, with feet so sore I could barely place them on the ground, and hot and dirty and tired, I knew that it worth every bit of my discomfort. I had experienced so many amazing moments, sights, sounds and people and the overwhelming feeling I took away with me was of community spirit and creativity…. Very talented and creative people and the community that supported and illuminated them. The past few weeks have brought the thought of “Community” to me. What do you think of when you hear the word community? Do you define community by your involvement in something, your immersion, participation, understanding, recognition, belonging? Do you see Community as something distinct and separate to yourself, to be aspired to? Is it possible this is due to a lack of connection, where your sense of place has you on the outside looking in, yourself a discrete entity who from the perspective of distance, can only witness, yearn for and hope for belonging? Do you feel something within the concept of community that touches a chord within each of us, that intrinsic human need for “home”, for family, to belong? I’ve thought a lot about this…. Communities are like circles…… we belong in some, we are outside of others, and many are overlapping or shared. But all are there for our understanding and learning, about who we are as individuals and who WE are as human beings, …and as opportunities to reach higher or be better or more, or simply reach out and find the courage to share. And all are created and driven by those who are a part of them. A community is defined by the people it is made up of…. The idea of community is a powerful, much valued, but elusive quality. Governments and Councillors cannot create, guide or legislate for it (though I personally think it should be a priority to promote and protect all aspects of “community” at any cost), corporations cannot buy, invent or generate it, no matter how crucial it might be for their fiscal wellbeing. It starts with each individual and the connection they make with another. It is not taught as a subject in schools, though some discerning establishments foster the spirit of community as a child or student’s first experience of what it means to belong and participate. Like personal honour, and integrity, it is an intangible quality that no matter how subtle, we all aspire to it, yet there seems to be no value placed upon it by the shabby systems our societies dwell within, and no classrooms are dedicated to it – only the examples received in life and the gifts of our conscience. A Community is a living breathing, evolving entity, greater than the sum of its parts, and yet only existing because of the individuals within it. 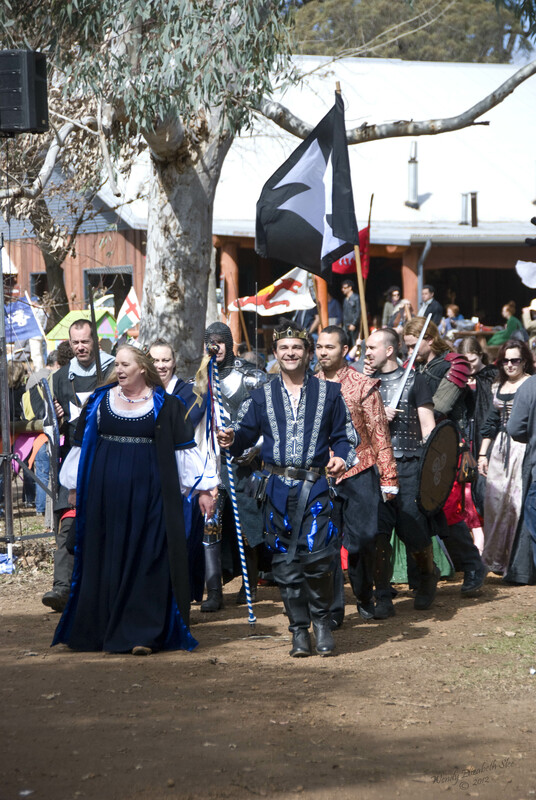 Many years ago, I went to the Balingup Medieval Festival for the first time. 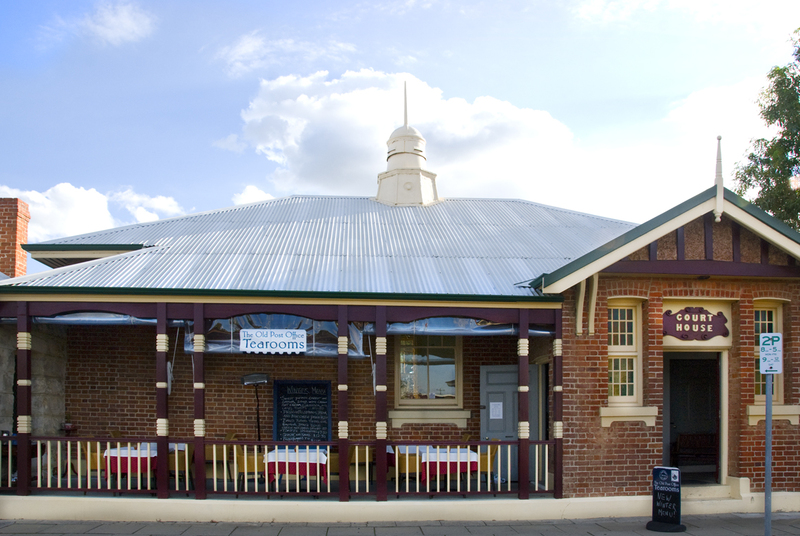 I came away from the event with the most overwhelming sense of Community, to the point where I decided if there was one place in this state I wanted to live, it would be Balingup. It was the Community spirit that danced and shone throughout that amazing event showing me what a group of people could do, when they worked together with passion and purpose. The creativity and imagination that saw the town transformed into a medieval village, with lifesize jesters, colorful characters and icons around the streets, vibrant flags, bunting, real enactments of medieval ceremony and society, dragons, kings, queens, knights and fair ladies, created a sense of community beyond any I had seen, especially in the artistic sense. For a town to come together with a common goal such as this event, captured my imagination and made me long to be a part of that. To me, that is the lure of a true community. However, I did not have to look too far from home to recognize a community that I am already a part of, one that offers many of the same qualities. Here at the Artgeo complex, a thriving community of real people who share a creative spirit and pride in all that they offer, is already a circle I am grateful to be involved in. For starters, you will find here, a sense of history entwined throughout the creative process and acknowledged openly. 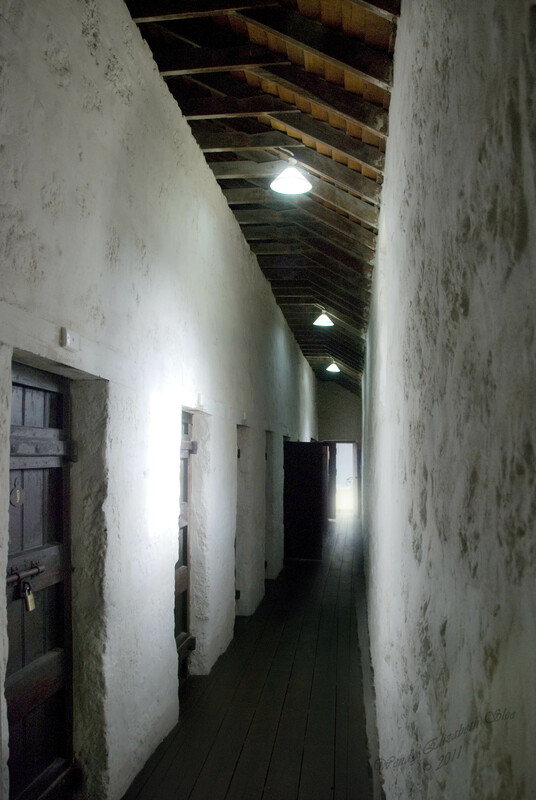 Set in buildings that have played a critical role in this region since first settlement, initially as the local courthouse, police and gaol complex, then as a home for local artisans, buildings that hold many layers of stories from every angle of these human elements, you will also find the history of art for the region entrenched within these walls. 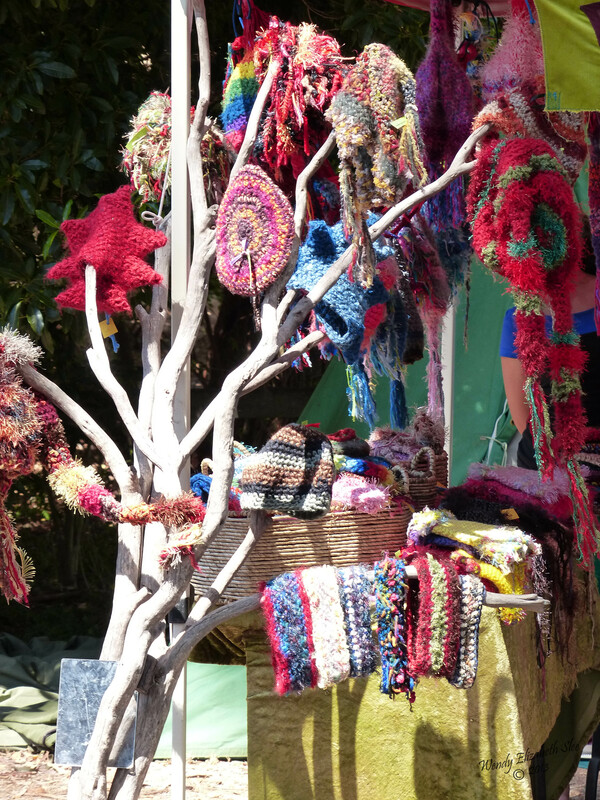 The Busselton Art Society, now over fifty years in the making, is rich with colour and stories and real people – generations of artists creating, sharing and teaching what they do with others. On any given day, you can witness the women of all ages who turn up to paint and share a cup of tea with their peers, or the men who seek to share their woodturning skills, or those who volunteer to run the gallery and sell other artist’s works, or to help teach children’s art classes. Many of these members of the art community have been doing this for over forty-five years and this is a primary part of their lives. My Mother is one of them. She has been a part of the Busselton Art Society for virtually all my life, and there was never a time when my image of “Mum” did not include the creative woman heading into town one or more times a week with her art supplies, her imagination and her generosity in helping others in the art rooms. Women, people, like my Mum, form a part of the community that at times is neglected or overlooked, especially when a younger city planners or lawmakers alter landscapes, move parking or access away from the area and make life difficult for the Elders who are the backbone of this artistic family. They should be treasured and cared for, not ignored or pushed aside in the rush for gentrification and image. Then you will find a vibrant selection of artists, both professional and amateur, all who have stepped up to express themselves through their chosen mediums, contributing to society in subtle but essential ways through their diverse artistic statements. New artists arrive regularly, shyly mustering the courage to offer their work for display and sale, or to enter exhibitions, and seasoned artists greet and welcome them, encouraging and inspiring them to follow their passion. I have witnessed this first hand, the exchange of creative ideas and inspiration and encouragement, not to mention human friendship. 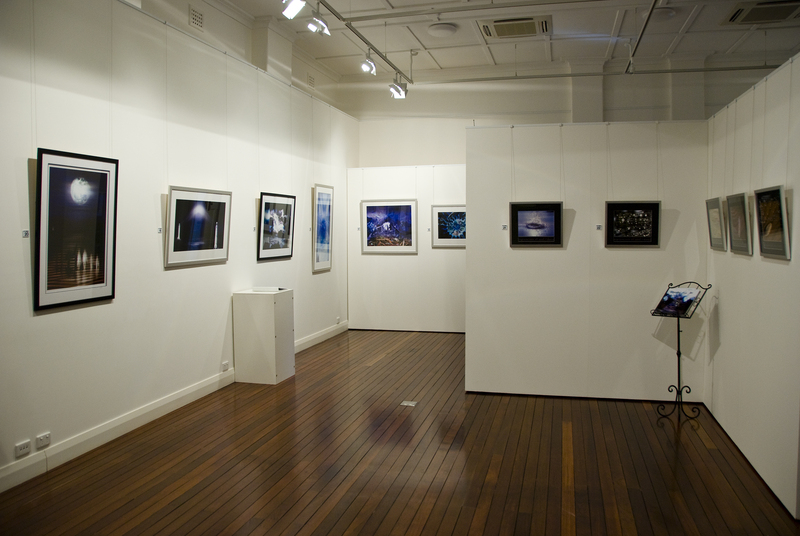 It is what makes Artgeo so very special and most deserving of the tag “community gallery”. I remember the first times I entered the gallery with a view to share my work, and how it could have been a negative encounter that turned me away from my art, had the people there been different. Instead, it was a positive and welcoming experience, one that made me feel accepted, gave me the courage to take my art to the next level and beyond. And the community feel has always been enhanced by having those special people working behind the scenes, organizing, planning, promoting and hanging exhibitions, who know what it is to be an artist, who have art in their heart and recognize that the wellbeing of their fellow artists is a priority to the ongoing spirit of the complex. These are the people who live, breathe and share art on a daily basis, another element of humanity that cannot be taught in universities, or gained from studying, but earned by a way of seeing life, a way of feeling, a way of being. These people never criticize or crush new and emerging artists nor disrespect the older ones, they believe in inclusion, respect and acceptance, knowing art is something we all share, something beyond monetary value, something that connects us as human beings. And their spirit rubs off on those they deal with constantly. 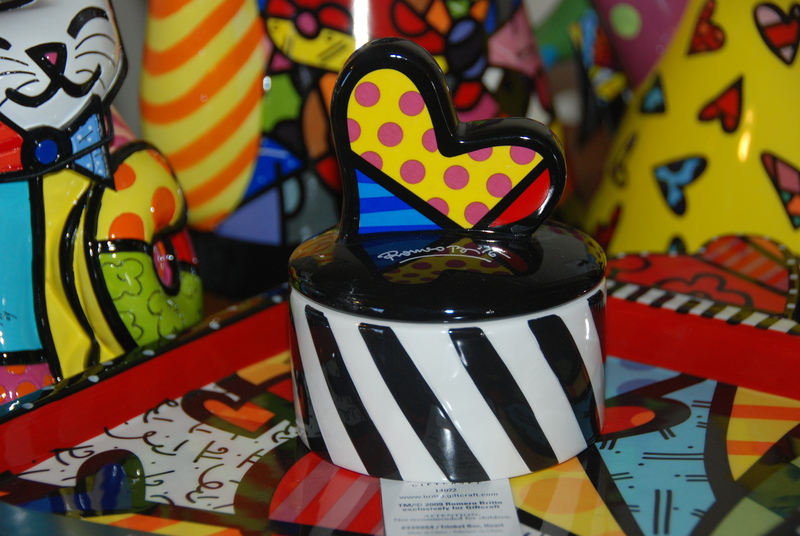 If you have had anything to do with Artgeo over the years you will know exactly the special people I am talking about…. these are the people who should be valued more highly than paid bureacrats, ego suited professionals or those who seek to create a high end image for the complex to the detriment of the real people within it; these are the people whose presence defines the true meaning of community…. and without such people, “community” would not exist. Nothing epitomizes this more than the little tearooms where I come to sit and write each week. 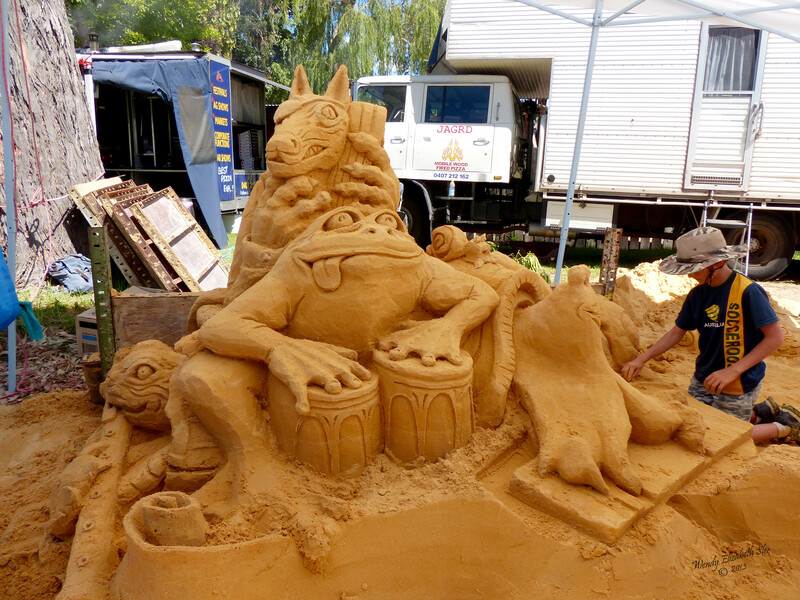 It is a smaller community in the heart of the larger one at Artgeo. Here creativity is expressed through the baking and preparation of real food to sustain and nourish real people. 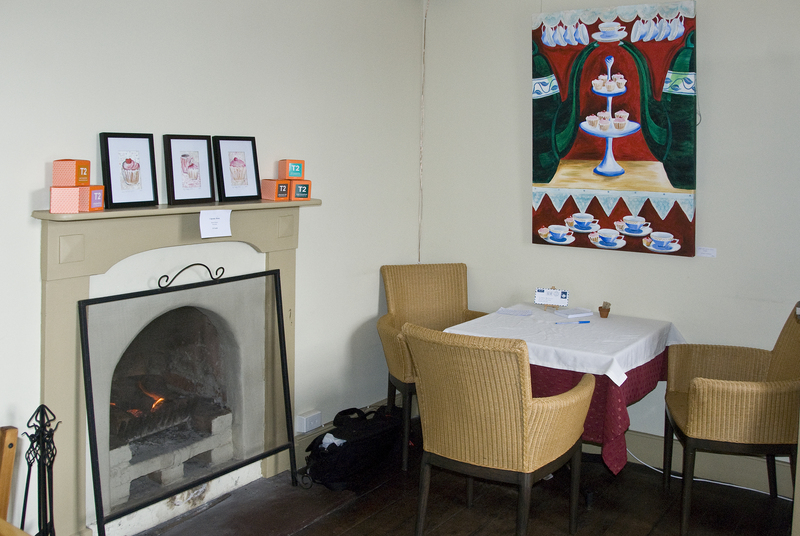 Visitors to this little café are treated as guests in a family home. Brenda greets them all and welcomes them to her “kitchen” as do her specially chosen staff. There is chat and banter and smiles and always the offer of kindness. It is as guaranteed as the garnish or rose petals on the side of the plate. 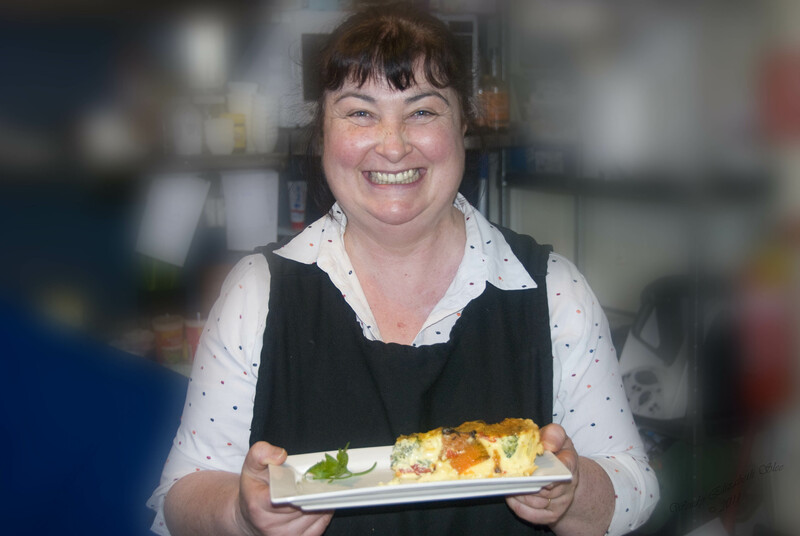 And the team in Brenda’s kitchen deliver heartfelt food and goodwill first and foremost to all who enter this community. Behind the scenes, the energy of this little café extends over into everyday lives, just as it does within the Artgeo community. Many who have walked into the café with a sadness, or an emptiness or a longing, walk out fulfilled, and I don’t just mean in the belly sense! Brenda makes sure that volunteers at the gallery are always offered a free cup of tea or coffee for their time spent helping, something she does of her own generosity and as a contribution to the family feel of the place. It is a kindness, simple and pure, a gift of the heart, to keep the human element alive, and this symbolizes the community feel that emanates from The Old Post Office Tearooms and the wonderful lady at its centre. These are rare qualities that are not found in many people or places any more…. they most certainly should not just be found in historic places as a symbol of how it once was or a tribute to the past! These are qualities that must be protected and enhanced, in all areas of life. The aspects of kindness, generosity of spirit, creativity and acceptance should be part of every community so that the members can drink freely and be inspired to perpetuate those qualities. As I sit back I remember when expression was not limited by lines of ink or fountain pen. My mind then charts across the ocean my vessel upon which I search for my perpetual Ondine. There where I sit and the blessed easterly winds blow warm doth do I find the girl of my heart and mind, my faithful Ondine. now for something in my tum! You will reap the rewards, just wait and see. 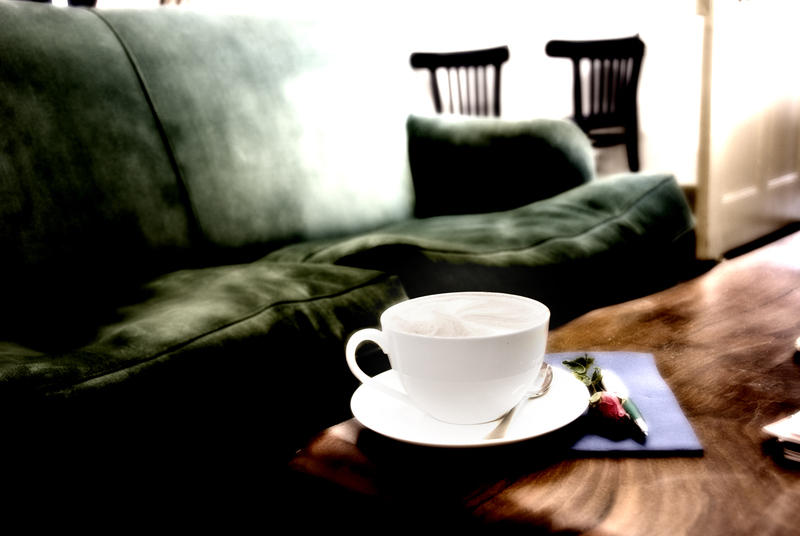 After a long silence and many Café Poet months, or should that be Wendy’s word-Wednesdays at the Old Post Office Tearooms, it is time to restore the blog and get some new stories and poems happening…. It is full speed ahead at the café, bigger and brighter than ever, with an extended menu, many new faces, and a few regular favourite ones….. but the theme of lovingly prepared fare from Brenda’s heart and home, amidst the vintage surrounds of the tearooms, set in this beautiful old courthouse building with artistic and historic energy rippling all around, is as unique and true as ever. This year I decided to have a “word of the week” theme…. The word will be written on the Café blackboard, hopefully inspiring the café patrons to pick up those pens on the table and start creating thoughts, poems or images in the little notebooks provided. Whatever creative crumbs, written or otherwise, I find in those tabletop notebooks, I will share here on this blog. I started rather selfishly with a word that held meaning for me, on my first Café Poet Wednesday this year. It had been my birthday the day before and that inspired me to write about it. So the word of the week was “Birthdays” and while most patrons ignored it, there were a few mentions…. 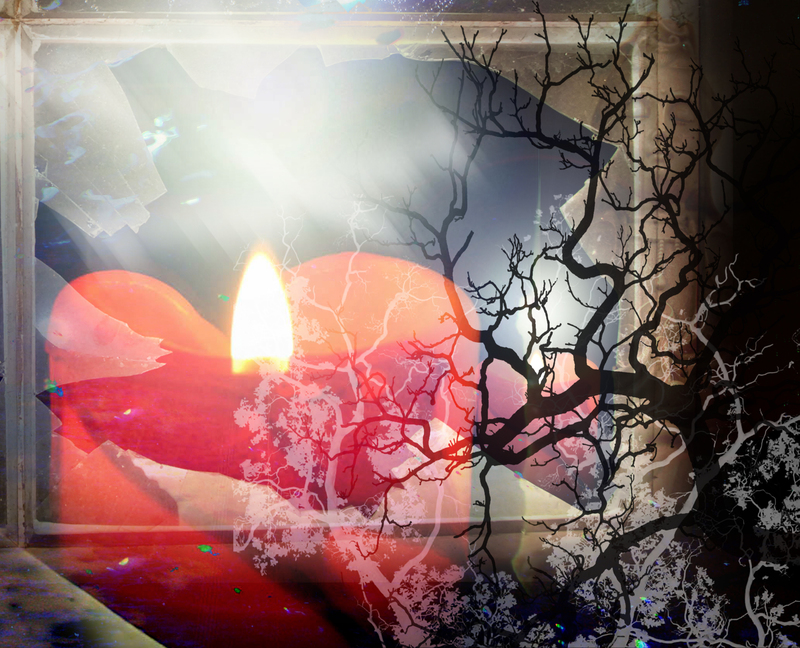 And my inspiration was drawn on memories and thoughts of my own particular natal anniversary. It’s my birthday and today – anything is possible. Today is the anniversary of my beginning, my breaking forth and gasping that first breath of this air we all share….. and today I will symbolically repeat that fresh start, knowing full well, that just as I emerged all those years ago with a blank canvas upon which to paint anything my heart desired, today I still have that potential to paint my masterpiece, afresh, regardless of all the lines, smudges and marks, and the colours and stories that have already been etched across it. They may not be erased but they are the primer, the foundation, for today’s new creation. Today it begins. At least, that is how I see it. Is it a personal thing to secretly look forward to and at the same time dread your birthday? Is there a remnant of childhood that embeds a certain excitement in the days or hours before a birthday, where you feel that anything is possible because that day is yours, all yours. Did your childhood lace your idea of birthdays with such expectation that the conditioned response is to look forward to what the day holds for you? What are your memories of birthdays gone by? Did your family treat you more special on your birthday, did you allow yourself to accept more, love yourself more, celebrate what you like about yourself and your life more so that over time, the approach to your natal day rekindled those positive feelings? Do you, like me, have memories of family gatherings, special presents or hidden surprises, smiling faces, the easing of sibling rivalry for just one day, candles on cakes, the excitement of planning a party in your own honour? I remember the traditional “birthday calls” on the local radio…. Where unbeknown to me, my Mum would phone in my details so that the on the morning of a birthday, while we were getting ready for school with the radio playing in the background, the announcer would suddenly be telling the airwaves that it was some lucky person’s birthday and if they went to look under their bed, or in a certain place, they would find a big surprise. I loved hearing my name mentioned, as if I was famous for the day, though have to confess the frustration at hearing “today is Wendy Flea’s birthday!”. You guessed it, no matter how hard my Mum tried, over the phone, Slee obviously sounded like “Flea” to the faceless person at the radio station, and more often than not, got written down wrong. Oh yeah, there were a few tears back in my younger days, when I felt they had cheated the real Wendy Slee out of her birthday by that slip of the tongue! I found an old diary some time ago, from when I was 11, and read in the pages the lead up to my 12th birthday… the planning, the invitations, the friends I would invite, the handing out of invitations and the crowded school bus on that exciting afternoon…. The sight of the kitchen table filled with party food, made by my Mum with such love – the cupcakes, the little red sausages doused in tomato sauce, the sausage rolls and home-made cake, along with the rustle of paper and laughter and surprises, and the crazy games that no longer get a mention in today’s generation – drop the hanky (oh dear, how old does that make me! ), pass the parcel, blind man’s bluff, pin the tail on the donkey, and good old hide and seek, farm style with the advantage of all those amazing places a farm can offer as hiding places…. As well as those intense moments when candles got blown out and many voices sang your name and you cringed or blushed but secretly loved every moment of it! At the time I read this old diary, my youngest daughter was about to turn twelve and the irony was not lost on me – how some things have changed so much, but other things remain steadfast and the same. Alternately, did your upbringing burden you with a residue of numbness because birthdays were not celebrated or even remembered, and you were certainly not allowed to feel special because of them? Were birthdays thereafter denied because of the hollow absence of any joy or acknowledgement of you attached to them, a feeling to be avoided at all cost? One of my greatest sorrows is to hear or know of some one, whose birthday is spent alone and unacknowledged, especially a child. For that is almost like saying their existence is not worth celebrating. Unless of course, they have arrived at the fact that their existence is their own responsibility to honour and observe, an awareness that often arrives too late for many. Overwhelmingly, when children grow up without knowing the cause for celebration is their arrival in this life, that is both a tragedy and a challenge – a huge lesson set for them right from the beginning of their journey. Will they believe in themselves enough to rise above that denial of their birthday and learn to celebrate themselves? Or will they succumb to a lifetime of unworthy beliefs or lack of self love? Is there a element of our conditioning that also overshadows that day with expectation and a tinge of fear, as the years are marked in their passing and we are reminded that instead of just one day older, we are one year older? Do we run a quick comparison of where we were the year before, or where we hoped we would be, one year from now, and berate or chastise ourselves and our existence because we fall short? Do we look in that wretched mirror for signs that we are okay and find only things to fault or mourn? There should be a rule that on birthdays, at the very least, no one is allowed to look into any mirror but they eyes of those who love them. Do we fear that our birthday might go uncelebrated? Or that we might spend it alone? And just what is it about being alone that truly scares us? Do we relive other sadnesses, or losses or grief that the day might evoke or accentuate? Do we try so hard to avoid the responsiblity for our own happiness, striving to ignore the reality that we are both the celebrator and the celebratee of our own anniversary and the reality that our birthdays start and end with ourself. It is up to us to choose how we will face this natal anniversary and how we allow it to shape our day, our year ahead and our being. The attention to detail is second to none – the home-cooked foods, tea cups, milk bottles, sprigs of lavender and the friendliness of the owner …. And had to eat the lot! 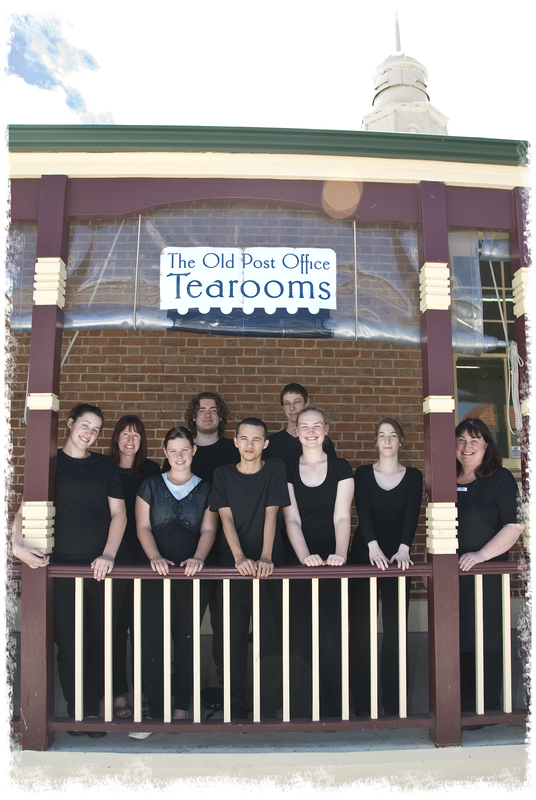 I love it here – it’s the best tearoom! Are you allowed to have birthday parties here? The surrounds of our beautiful town. High – fly – whee!! 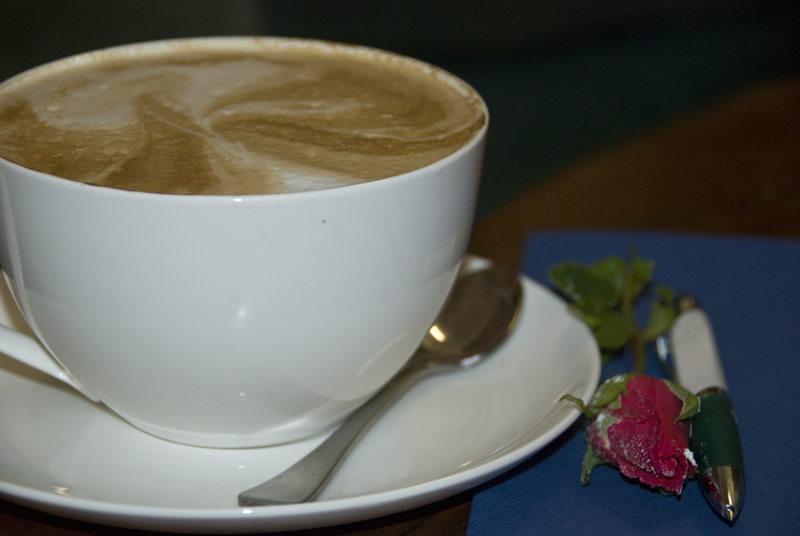 Just coffee for me – wheee! Not hard to enjoy at all! No more bowls left but lots of teapots! I was driving to the jetty. My eyes flashed on the outside tables for guests. I saw the best ever plate that had scones with strawberry, cream and jam. I stopped at a parking (space) and ordered. My wife’s reaction – Oh my goodness! Here in the heart of town. Our first day here was like a birthday, and every subsequent visit is just like our first. My birthday this year, when asked by others how it was, became difficult to describe because of the expectations placed upon such days. It did not go as planned, or even as I had hoped, but it was a day none the less that I would not have missed for the world. You see, my birthday this year was full of hidden blessings. The challenge was to find them. Once the kids got on the school bus, I spent the day alone. Initially in the early morning rush, they both forgot it was my birthday but before they left, I got the best hugs – the kind of hugs a Mother stores up in her heart to sustain her forever. No one had called me with plans to meet for a meal or a coffee as it was a week day and people were understandably busy. I was too broke to go out for the day and sit in a nice café or restaurant so that was out of the question even though these days I am more than happy to take myself “out” for a meal or drink and enjoy the solitude for creating or reading. My pain levels were high, the fuel tank in both the car and the body, was on empty, and so going for a drive out into nature was not an option either. I had housework to do as guests were coming over the weekend, so I spent the day vacuuming, dusting, mopping, sorting out the usual crap that accumulates in my home without an extra effort from me, and digging out the septic drain to unblock the old toilet. Nice one huh? That evoked a warped smile at the joys of living in an old farmhouse. I decided I would cook and share dinner at Mum and Dad’s house for everyone so I made sausage rolls and a desert for my extended family. My Mother, who had suggested we all have tea together, had been delayed in town, was not well (which was concerning for me) and could not get home in time, so I ran around getting things ready for everyone at her house, and even ended up doing all the dishes afterwards. Not for one moment did I sit down and have someone wait on me. So yes, you could say I had a fairly uneventful if not, a potentially “I feel sorry for me” birthday. But here’s the thing. I would not have missed out on those hidden blessings for anything… Even with the stench of the septic drain, the heat and humidity of the end of summer, the sweat of housework, the empty hours of my day, or the exhausting final hour doing dishes before falling into bed or the nerve pain that dogs my every moment. I have never felt more grateful for being alive. During the morning, I heard the slow putt-putt-putt of the motorbike which meant only one thing….my dear old Dad was driving down the hill to my house. At 83, he is not able to walk much, but he can hop on that bike and get around the farm. And he stopped out in the front driveway, unable to get off the bike but wielding a bouquet of flowers from my Mother’s garden and a birthday card. It was a beautiful moment because I know that I won’t always have my Dad around to visit my home at anytime, let alone, on my birthday and the sound of his old motorbike will one day only be in my memories … nor will I have my Mum to pick me a bunch of flowers from the garden she creates with love, and has done every day of her life. These were treasured moments indeed. And I had a few phone calls and the space to sit and enjoy them, friends from all parts of the world, not necessarily aware it was my birthday, just having perfect timing and calling on the right day. Then, without leaving my house, I had a barrage of lovely wishes on facebook, and whatever you believe about the internet or social networking sites, I can assure you that energy and intent is very real and the wonderful vibes I received all day from around the world gave me a lift and buzz that was tangible…. And lasting! It was like a solid wall of kindness and positive thoughts that I could sense in the air around me. During the day, Laura had insisted on coming home to be with me for my birthday. It is not always easy to have my special needs daughter around as she never relaxes or stops talking and constantly needs attention. But she has a heart of gold, this special daughter of mine and I love that she wanted to be here with me, no matter how we might juggle things to fit. Her ability to find the celebration in the mundane, was a gift I truly wish I could emulate, and her words “this has been the best day of my life!” – a common catch-cry throughout her life, held great significance this day, a reminder about making it count, living in the moment. I missed my oldest daughter’s presence too, as she lives away and was working, but her early morning phone call was a special treat – our conversations are always heartfelt. Then I had the dinner with my family….my Mum and Dad, my sister, my brother and sister-in-law, my niece, and three of my four kids. And I got to offer something to them. Which for me, is always a bonus. It was special to be together like that. It may not sound it, especially when you consider we all live here on the same farm, and can see each other any day, but somehow, for me, I sensed that the times when we could gather like this are numbered, and it would not always be this way – there will come a time when I look back on these gatherings with longing in my heart and only memories around me. SO I soaked up every lovely part of having family surround me. 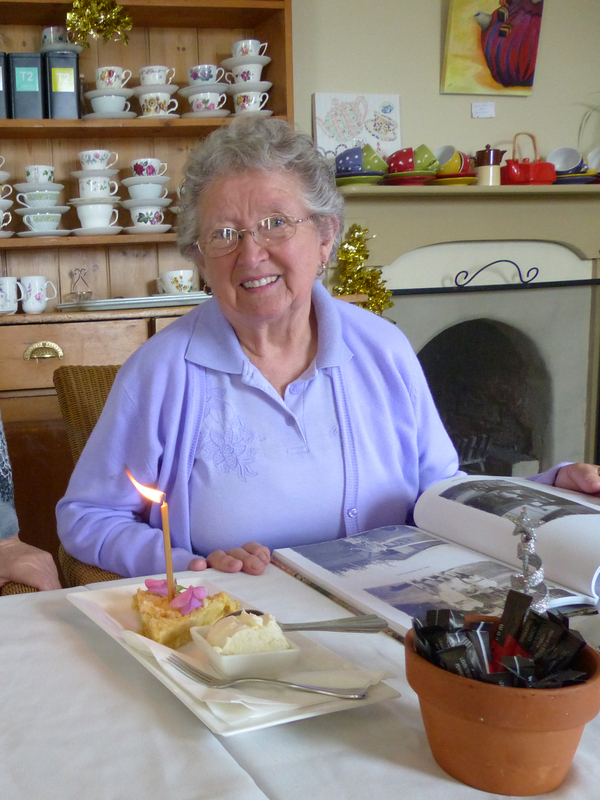 And my Mum brought me a cake, as she has done (or baked herself) nearly every year of my life, and upon it placed a candle, so that we could relive birthdays of old, with a puff and a chorus of mismatched voices and a whole lot of laughter. Add to that, the antics of my two youngest children, who know how to entertain, and I know that in years to come, these memories, this day, will be so precious and cherished, even more so than now. So weary, I was in tears at the end of the day, because there is always a small voice that tries to sabotage joy. And that voice sneaks in with exhaustion or pain as the open window that beckons it in. I thought of things I missed, elements in life I did not have, people I have lost, the pain my body constantly feels and my inability to do the things I long to. The overbearing feeling of “age” weighing me down….. But then I stood outside in the night air and knew that I was happier, and more blessed than anyone else I know, because I was right here, right now and fully aware. I could breathe in that cool air, and feel that breeze on my face, a relief after the heat of a summer’s day. I could feel the Earth beneath my feet and the almost silent symphony of nature around me. I could taste the rain that would come in the days after my birthday, that sweet perfume of a grateful Earth embracing the essence of life as it came home to start another cycle. I knew that the people I loved were asleep in their beds, and they were safe and well, here with me. And those I had lost, I felt them nearby, not so distant at all, just a thought or memory away. The nightbirds called and sang, and the music in my heart echoed back. 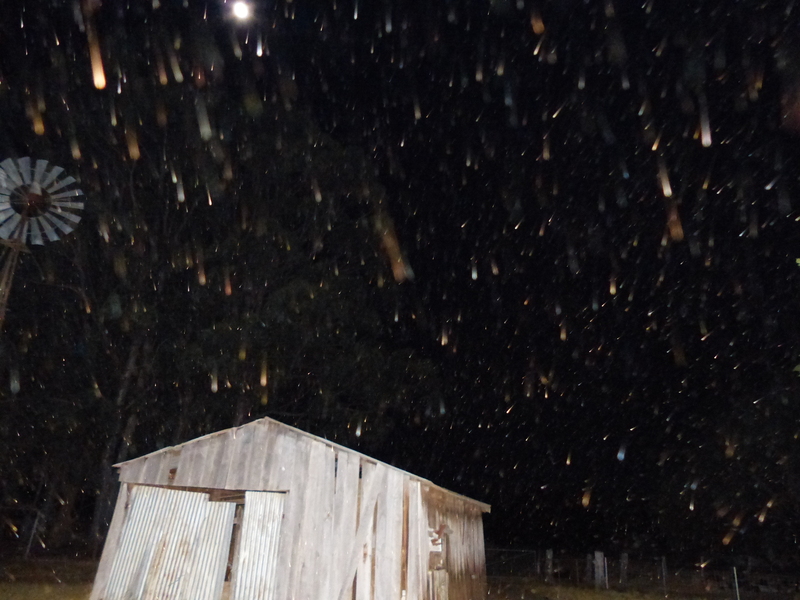 I took some photos and there in the sky the orbs gathered like brightly coloured balloons, more and more as I stood quietly, as if they were drawn to my presence. It appeared like a cosmic celebration. I was grateful for the simple awareness that there is more to this universe than our 3D minds can imagine…..and that my mind was wide open to the possibilities, not narrow or closed. And I knew, that if I was dead tomorrow, I would miss all of these things and so much more. By the time I walked back inside, even though on feet that were in so much pain I could barely stand, my heart was full… so very full. So I celebrated my birth, and my rebirth, and the end of the old and the beginning of the new…and made a plan that every day, in the guise of an “unbirthday” would be the fresh start and the celebration of my life, just as this day had been.